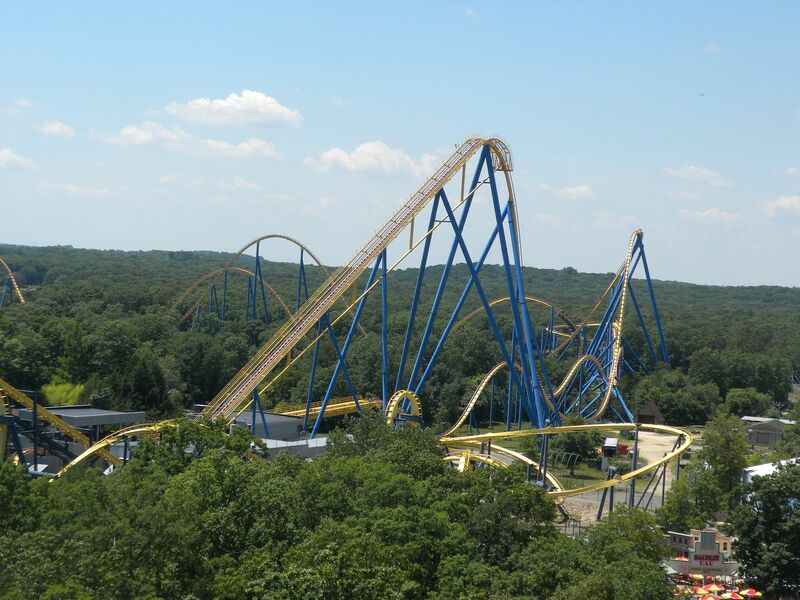 The highlight of ACE Coaster Con XXXVIII, which began Sunday, June 21, would be two and a half days at Six Flags Great Adventure in Jackson, NJ. Operating since 1974, Great Adventure was created by famed New York businessman and restaurateur Warner Leroy, the son of Wizard of Oz director Mervyn Leroy and Doris Warner, the daughter of Harry Warner, one of the founders of Warner Bros. Warner Leroy owned the venerable Tavern on the Green in Central Park in Manhattan. He envisioned a resort that would contain numerous parks, hotels, shopping, restaurants and more, all around a large lake. 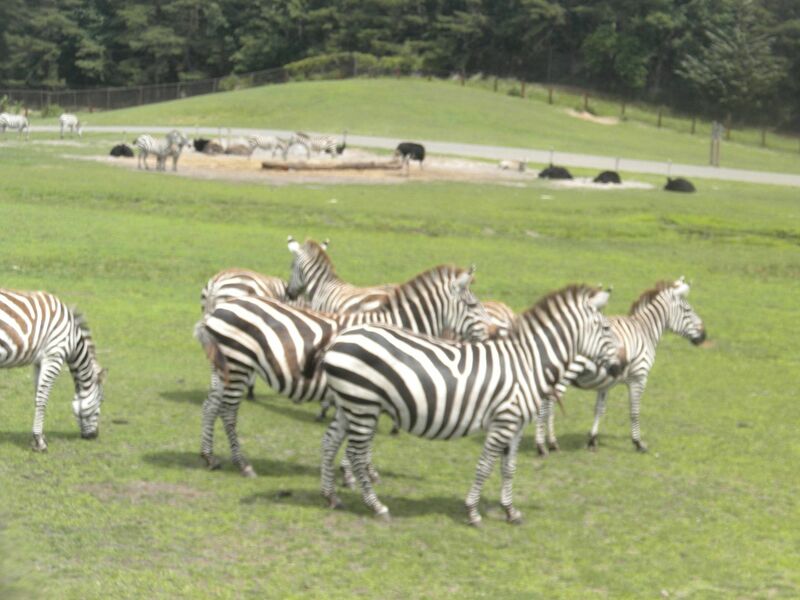 Of all his grandiose dreams only 2 parks were realized – an amusement park and a safari park. 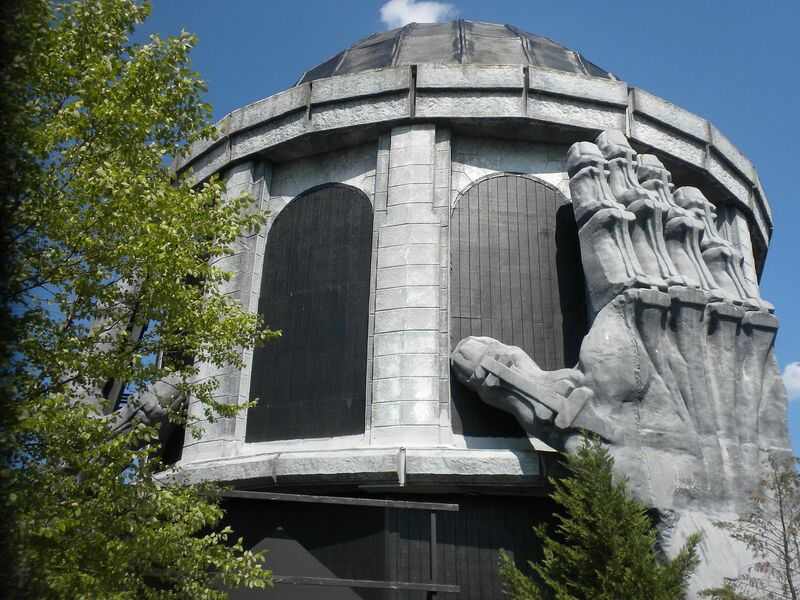 Leroy’s amusement park lacked much of the cohesive theming found in other theme parks of that era, but the theming he included was very elaborate, over the top, in fact. 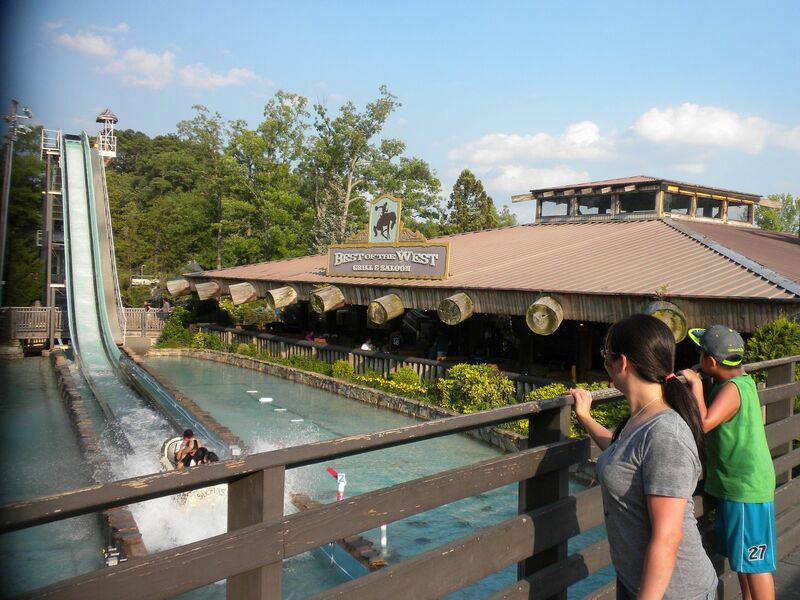 and the frontier themed Best of the West Restaurant surrounded by one of the longest log flumes ever built, all provide insight into the fantasy world that Leroy created. 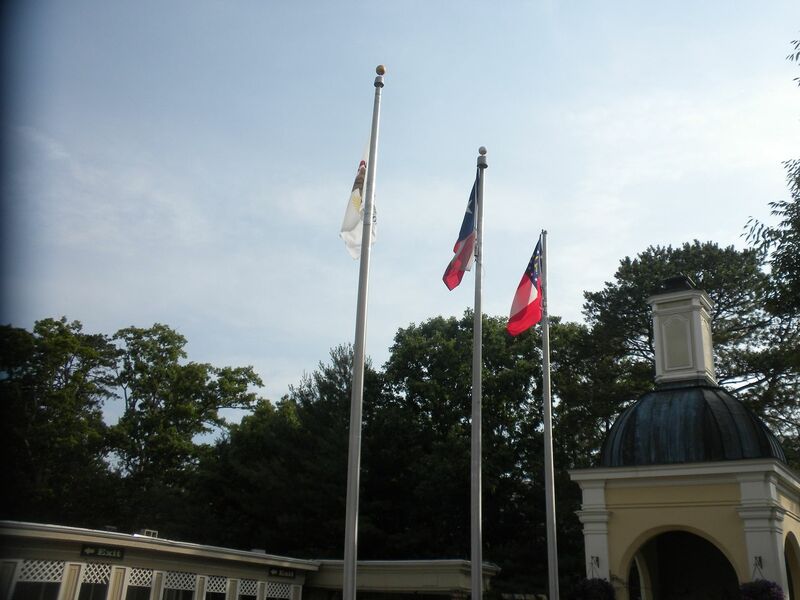 While much of this theming has been retained, two of the most iconic items were lost recently when the oversized teepee and the larger than life covered wagon were removed. 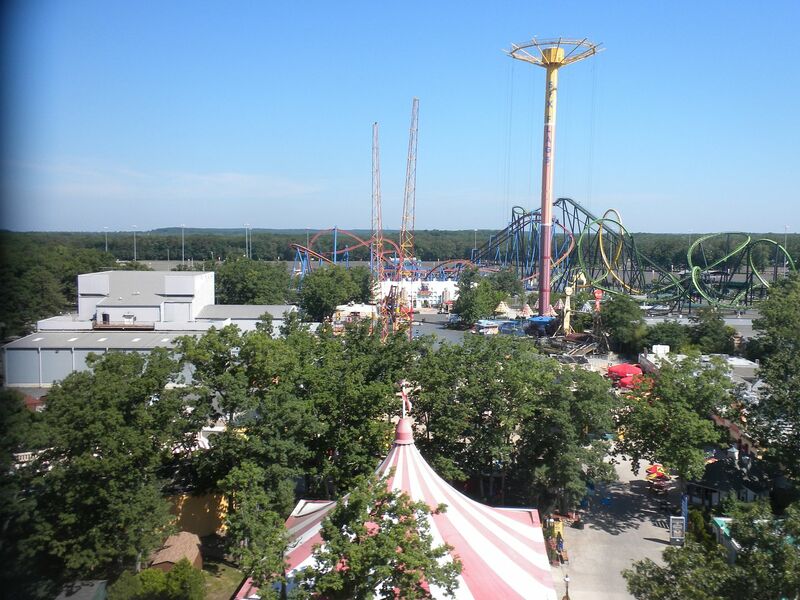 Warner would run the park for only four seasons before selling it to the growing Six Flags chain, which over the years has added many thrill rides and its own more cohesive theming. 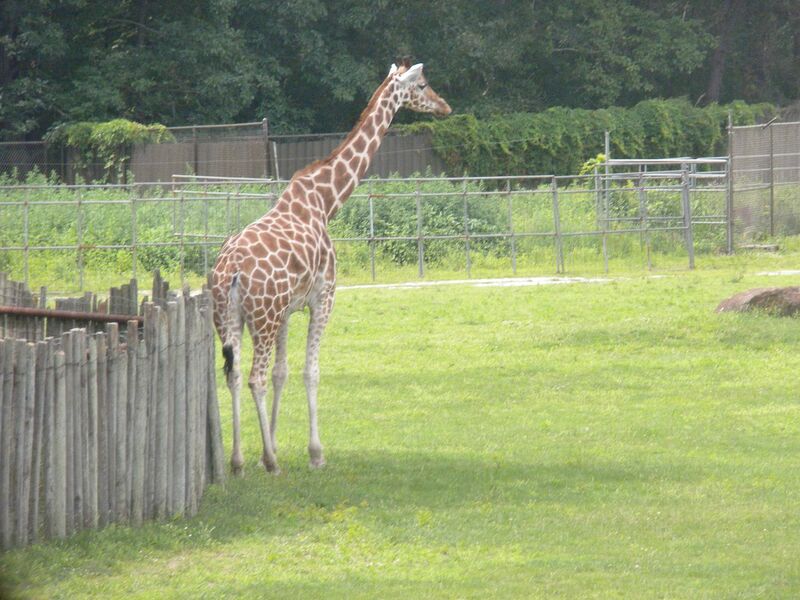 My previous three visits to the park were hit or miss. 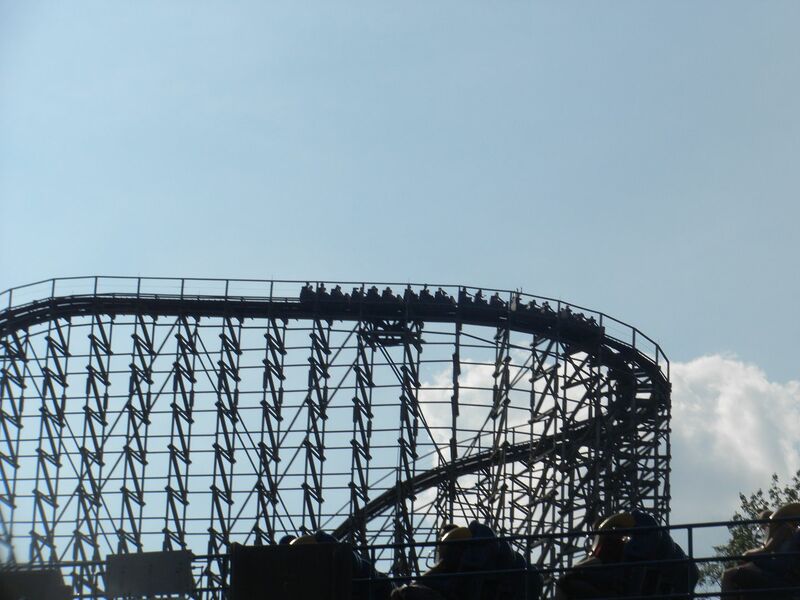 My first day at the park in 2005 was so crowded and with such slow operations that we only got in 11 rides in 12 hours. The following day with only a half day, we rented a queue bot (as they were called at that time) and had a much better experience. Return visits in 2007 and 2010 were better. 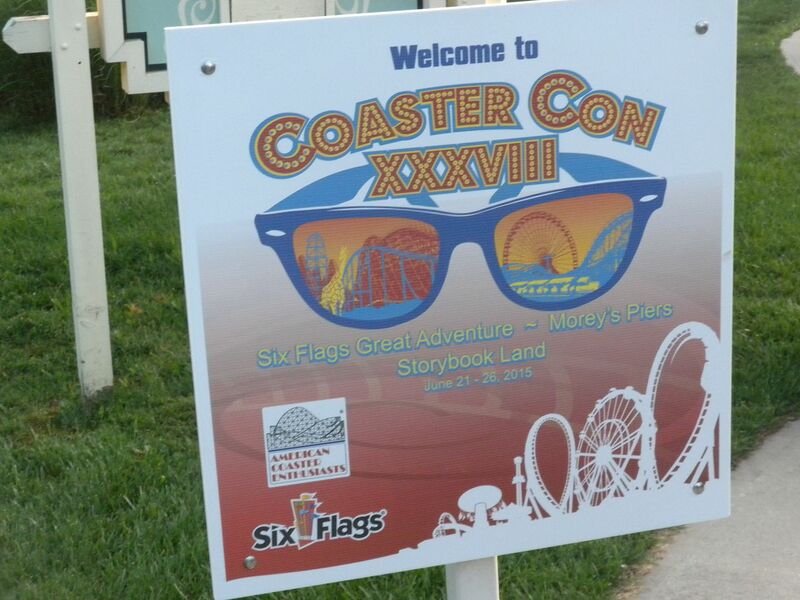 With Coaster Con at the park with 9 hours of ERT scheduled, I was looking forward to finally getting to spend the amount of time in the park that I have wanted to. But with tropical storm Bill making its wide swath from Texas, would we be able to get in everything I wanted? 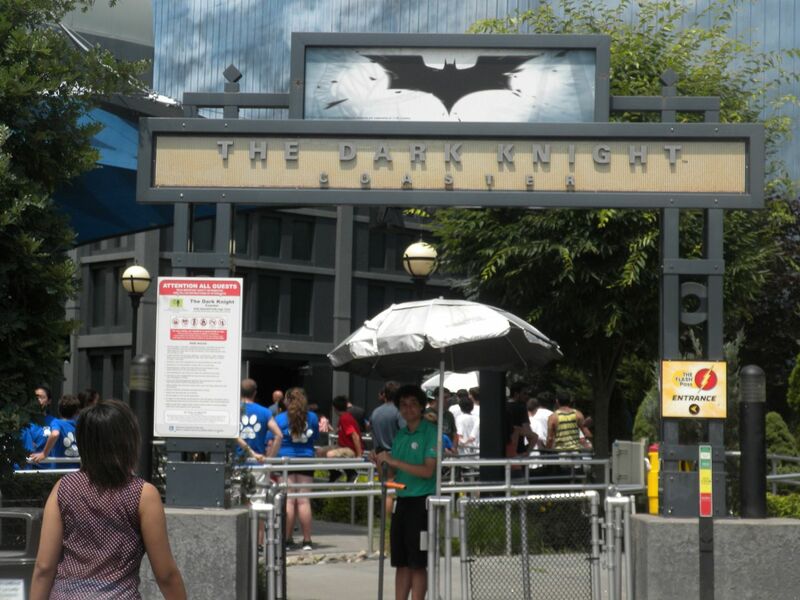 I will review this park by themed section. 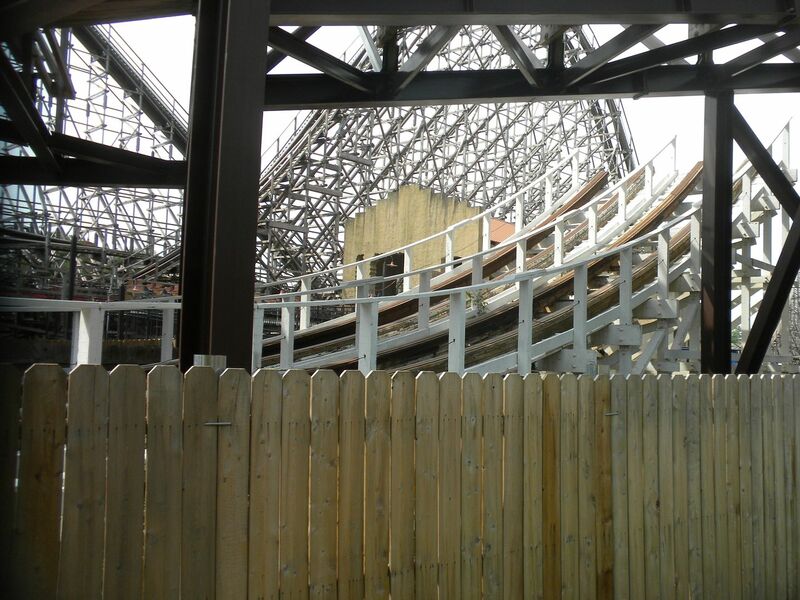 This section was an adaption by Six Flags, relocating the front gate from near the current Boardwalk section, replacing one of the original rides, the Antique Cars. 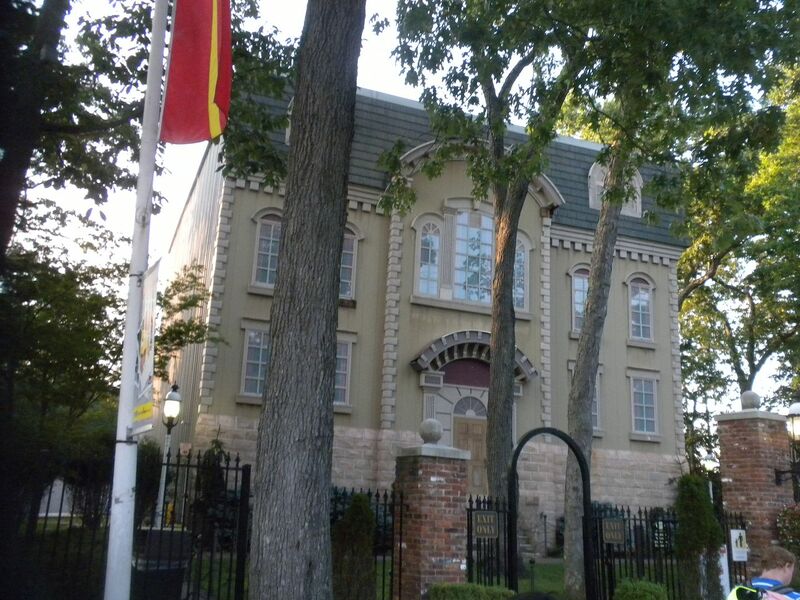 The section is themed as an 18th century American street with a fountain in its center. 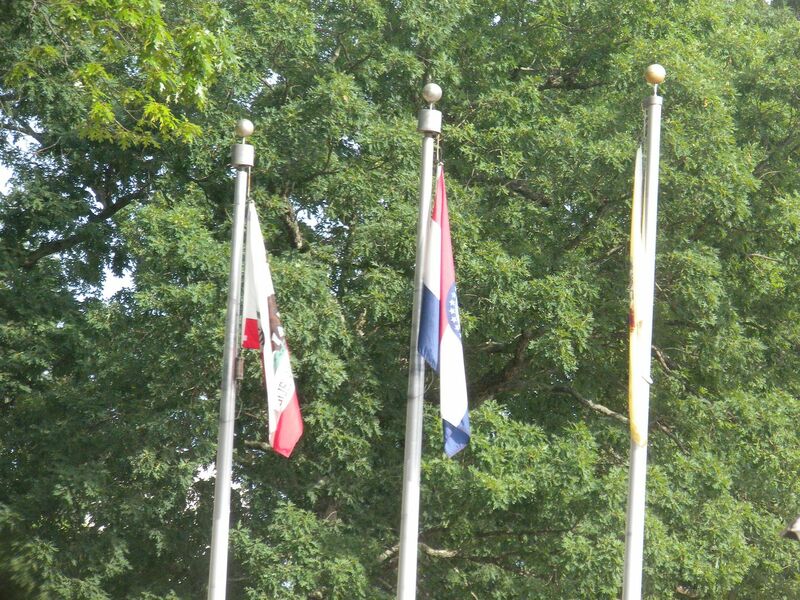 Texas, Georgia, Missouri, New Jersey, California and Illinois, a nice touch. 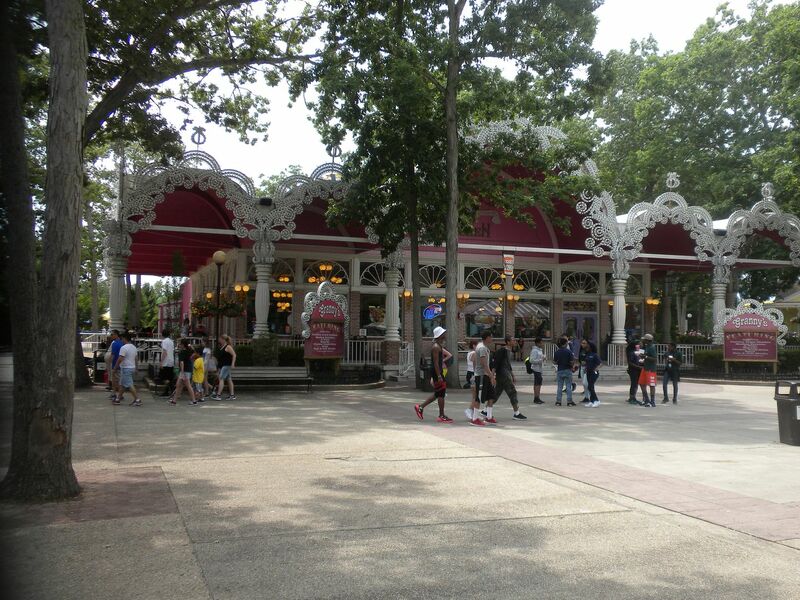 This section has Liberty Square Gazeebo featuring Six Flags Dance Party; and Main Street Fountain – character meet and greets. 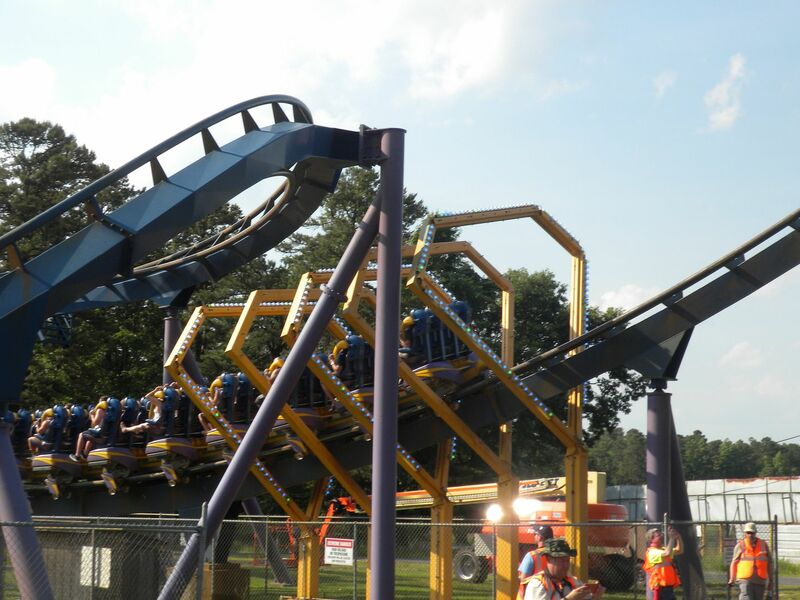 Adventure Alley was rethemed in 2012, with new rides added, from what most recently had been the right half of Fantasy Forest. 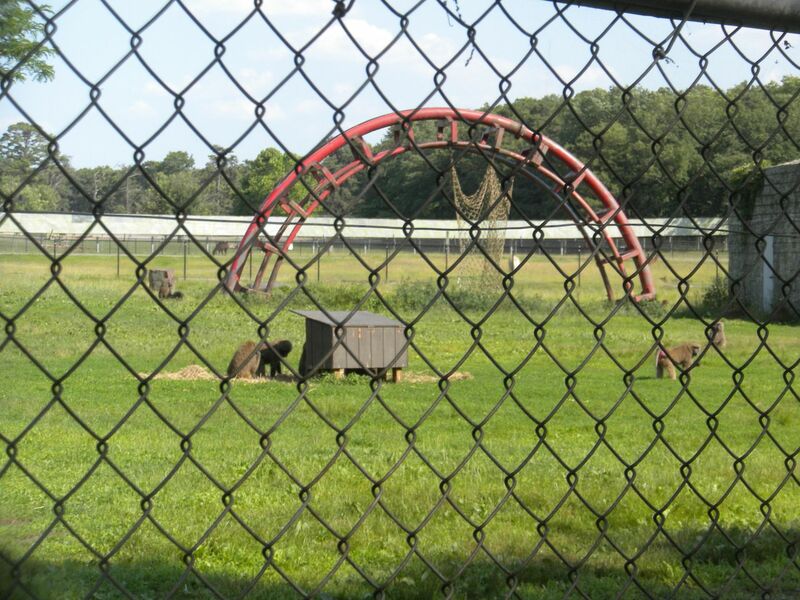 Originally this area was Strawberry Fair , one of Warner Leroy’s fanciful sections. 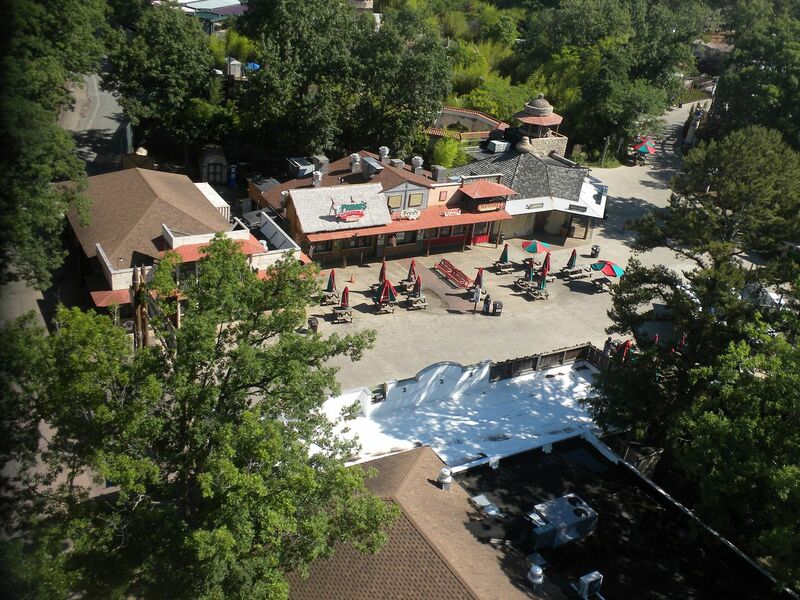 Fender Benders: The fourth bumper car ride to be built at the park (and using an old name), it was a replacement for Autobahn in the closed Old Country section. 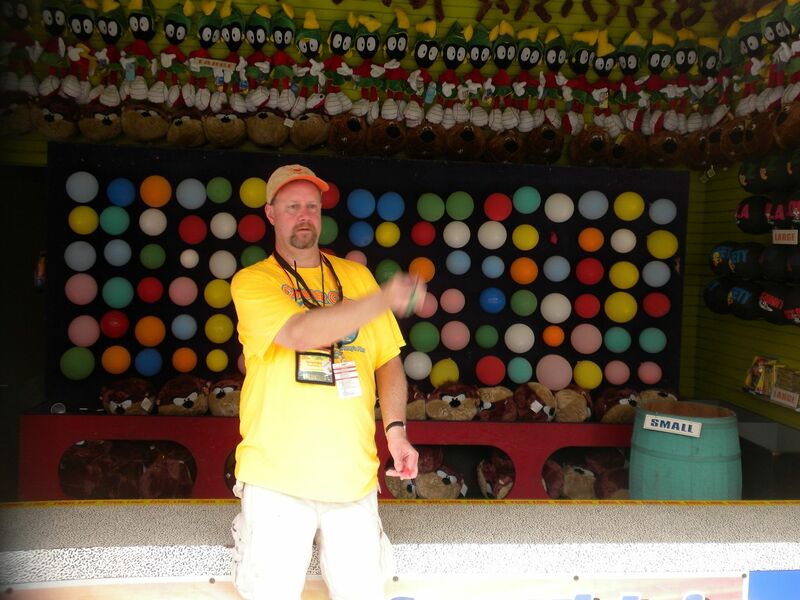 I was pleased to see them add a bumper car attraction back – 1 ride. 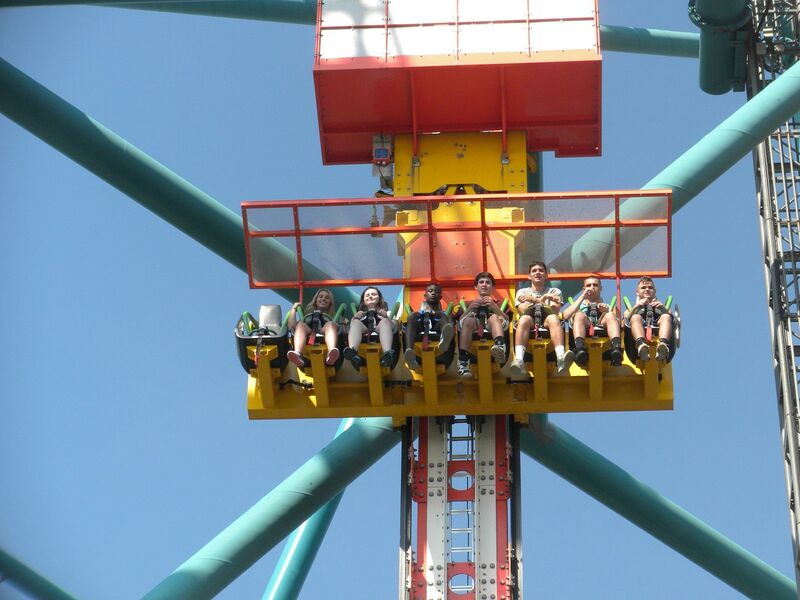 SkyScreamer: This 242-foot swing tower ride has a great view – 1 ride. 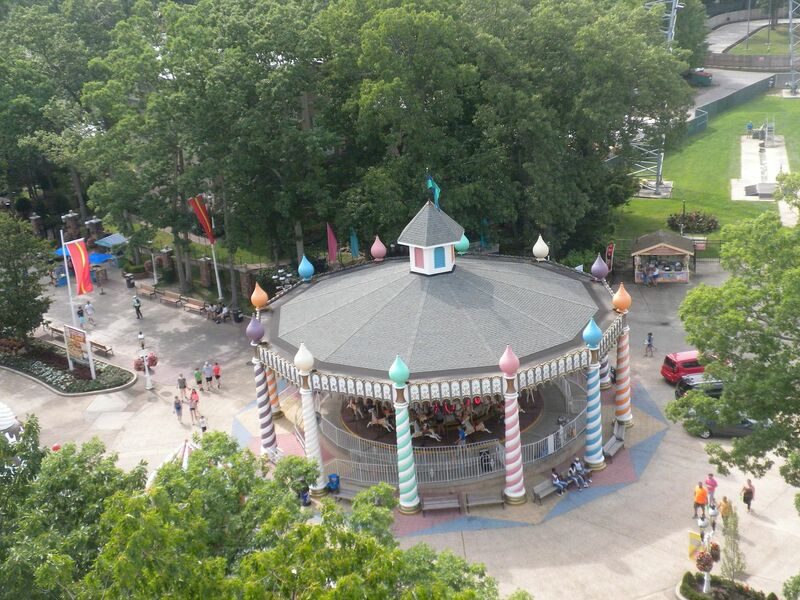 Big Wheel: This 150 feet Ferris Wheel, one of the park’s original rides, also has a great view – 1 ride. 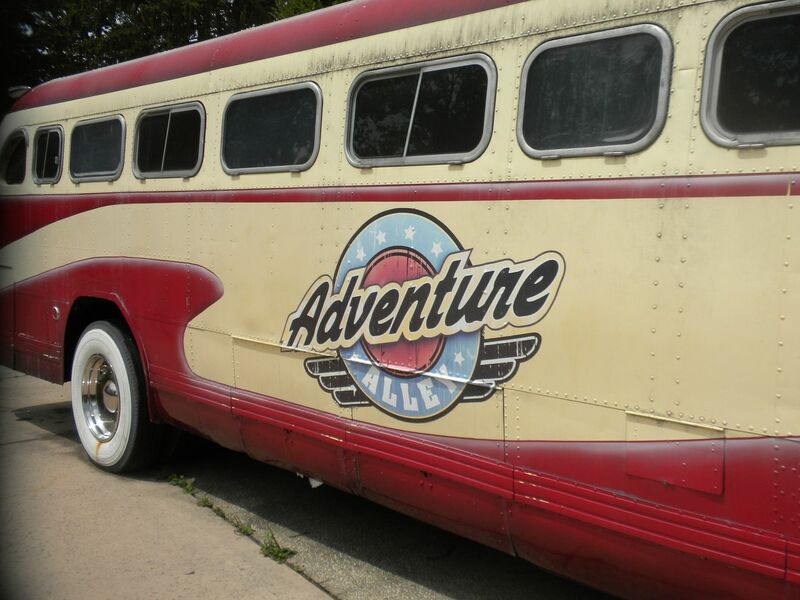 Déjà vu: Relocated from American Adventures in GA, it gave a good ride – 1 ride. 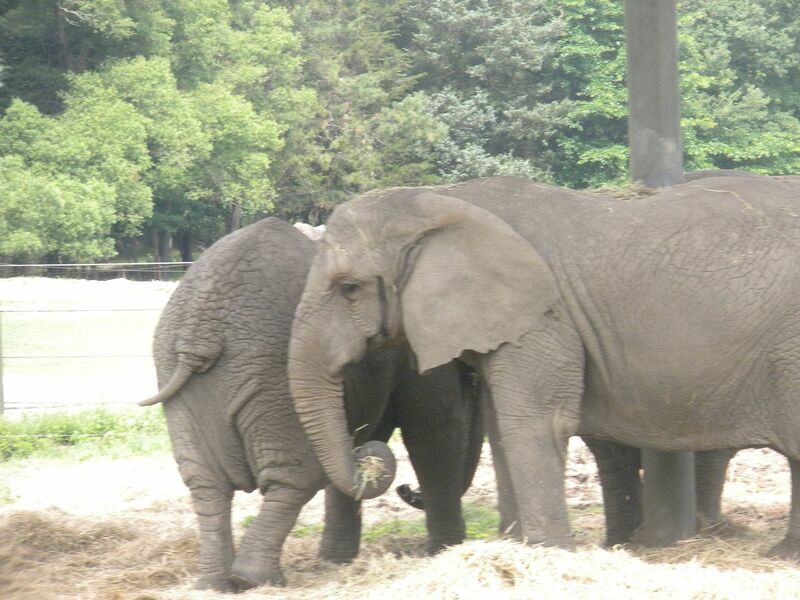 Air Jumbo: Flying Elephants relocated from Balin’s Jungleland in The Golden Kingdom – 1 ride. 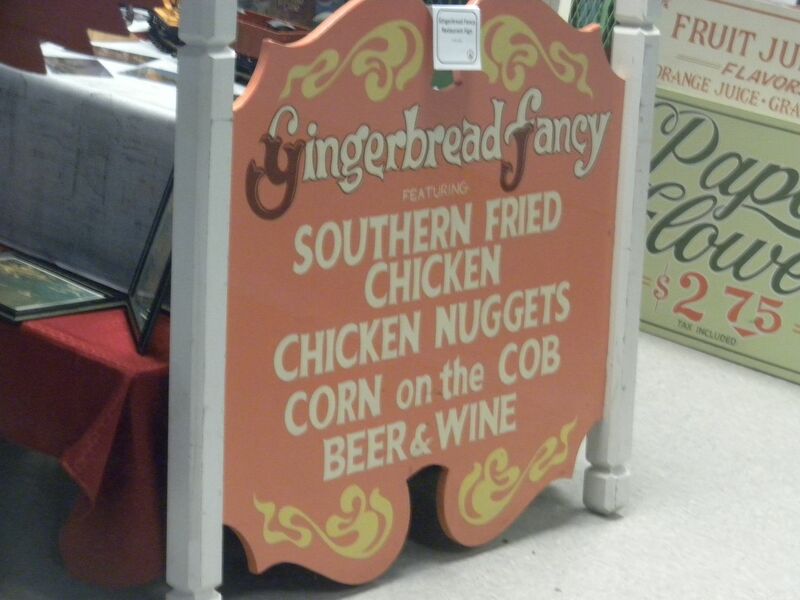 I had a good fried chicken meal at Granny’s Kitchen. I find it ironic that most SF parks outside of the south sell bone-in fried chicken, but you can’t find it in the south at SFOG and SFOT. 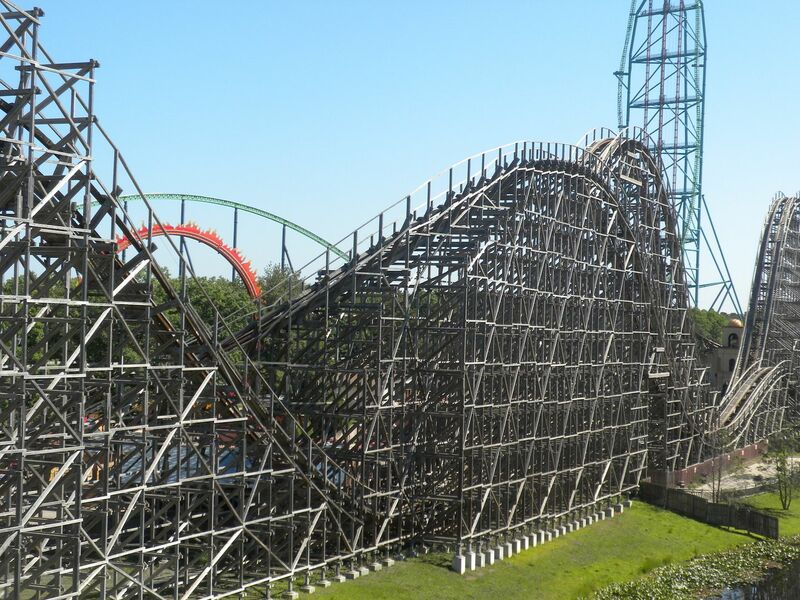 Originally the Fun Fair and Action Town sections, several notable rides removed include the good but troubled Batman & Robin: The Chiller (Premier, Launched LIM Dueling Coaster, 1998-2007) – of which I got the credit on the Robin side in 2005 after a 2 hour wait, but I near rode the Batman side; Movietown Water Effect, a Shoot-the-Chutes; and Stuntman’s Freefall. 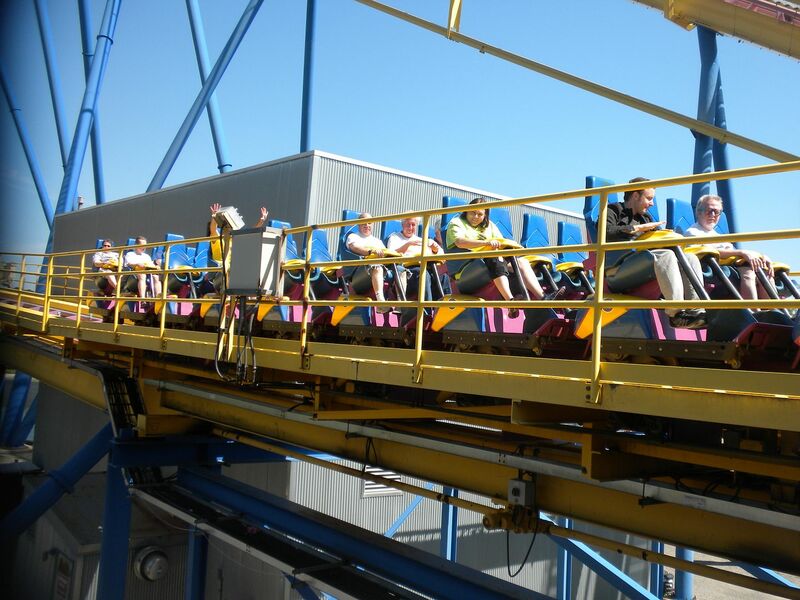 Nitro was in Movietown until 2011, when Adventure Seaport was created. 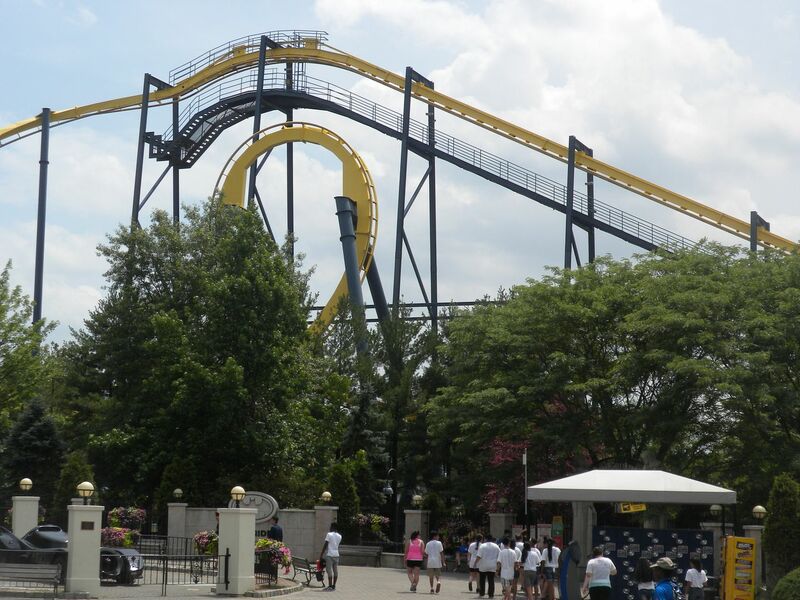 BATMAN: The Ride: (Bolliger & Mabillard, Inverted, 1993) We thought this would be closed in preparation for its Backwards debut in July, but with it extended to late June at SFOG, we got to ride forward – 1 ride during ERT. 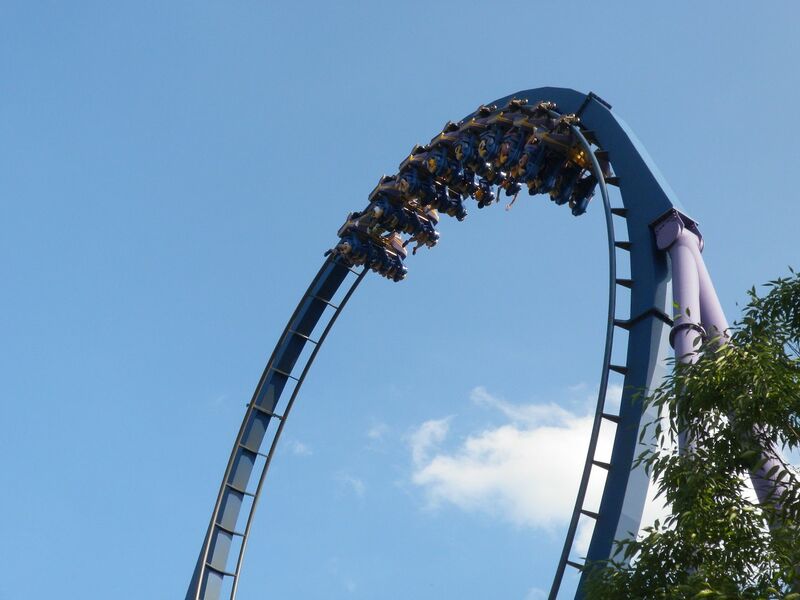 The theming was working well – 1 ride during ERT. 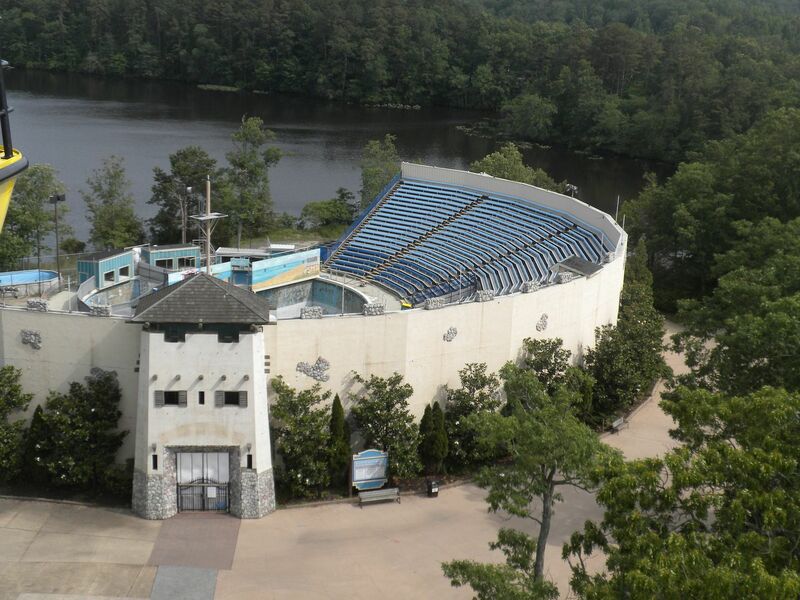 In the Showcase Theater, Brad Ross Illusionist would debut in August, while Movietown Arena is not regularly used. 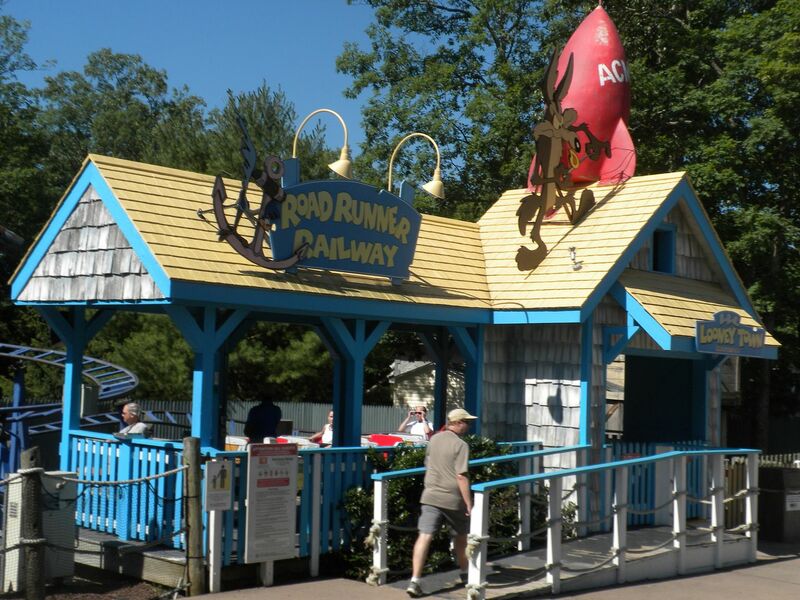 Adventure Seaport was formed in 2011 from part of Movietown and two children’s areas – Looney Toons Seaport and Safari Kids. This area under different theming was home to The Great Train Ride and the Hydro Flume. 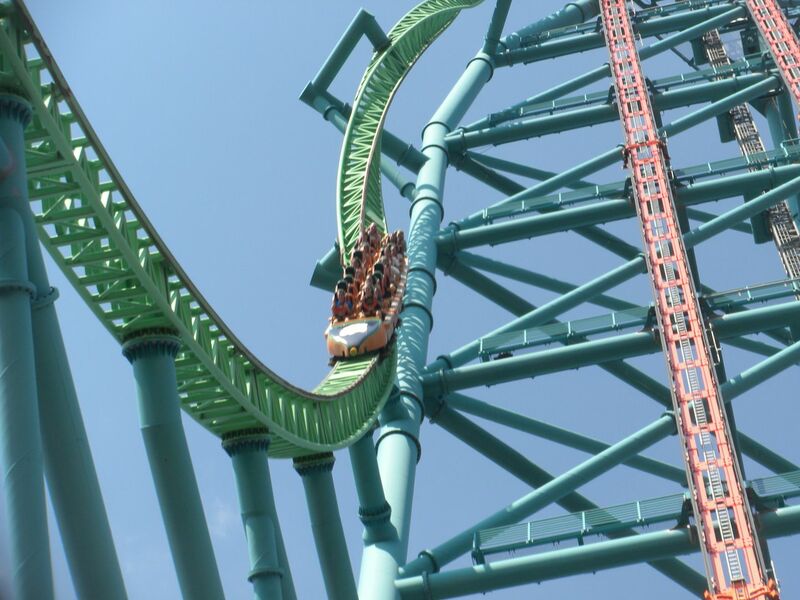 Nitro: (Bolliger & Mabillard, Hyper Coaster, 2001) This great hyper coaster with its 21 story drop is one of my top coasters. 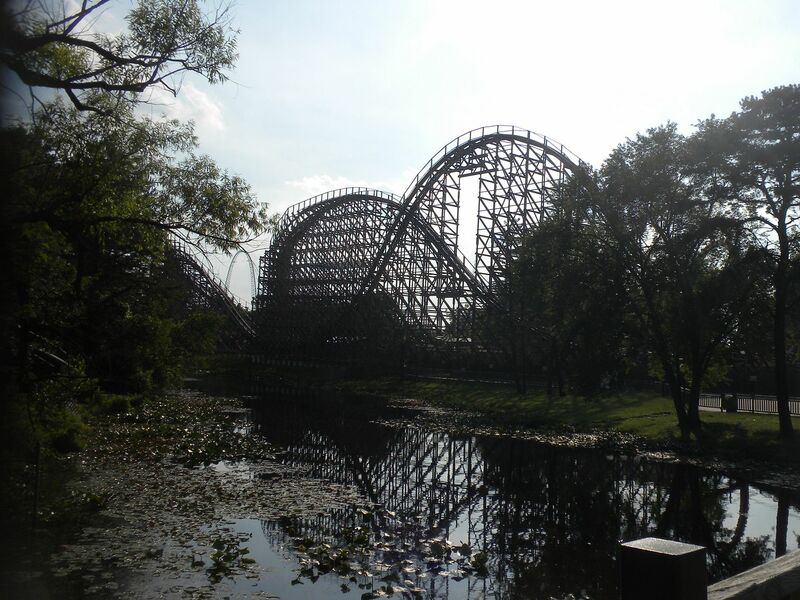 In addition to great speed, tremendous airtime and an intense helix, its wooded lake setting makes for an amazing ride – 14 rides, 11 during ERT including 7 night rides. 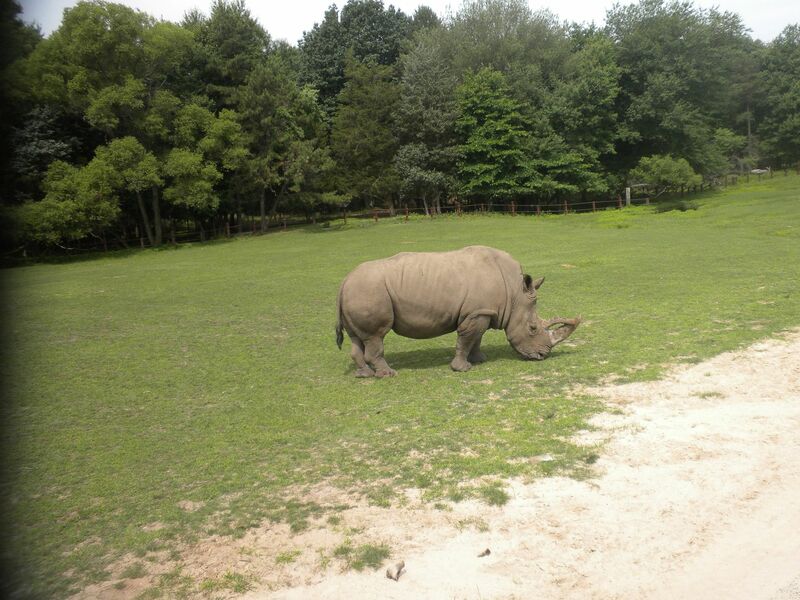 Congo Rapids: While I intended to get to this, I planned to ride this Tuesday evening, but rain prevented it. 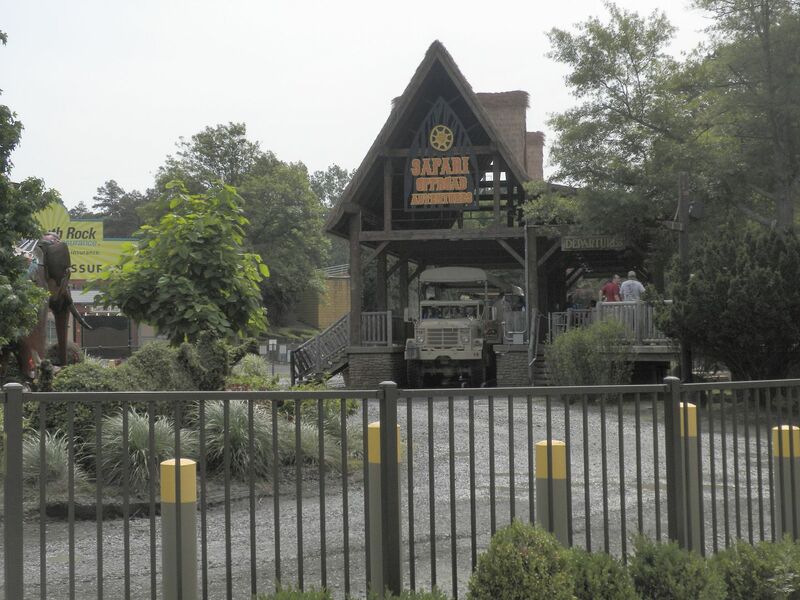 SAFARI KIDS - Safari Kids replaced Wiggles World in 2011, which replaced Hydro Flume in 2007. It has 6 kid’s rides. 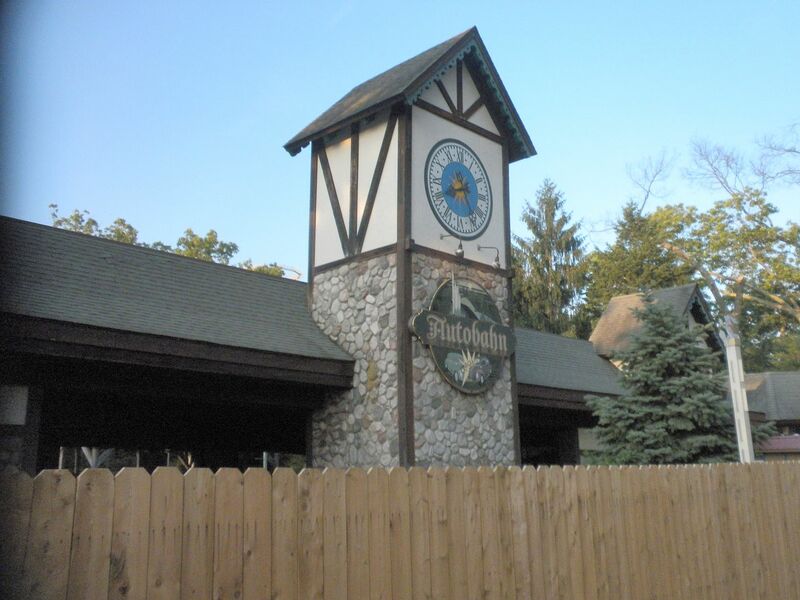 Adventure Theater – PAW & disORDER Animals On Patrol: I enjoyed this animal antics show – 1 show. LOONEY TUNES SEAPORT – This children’s section opened in 1999 as part of the War on Lines. 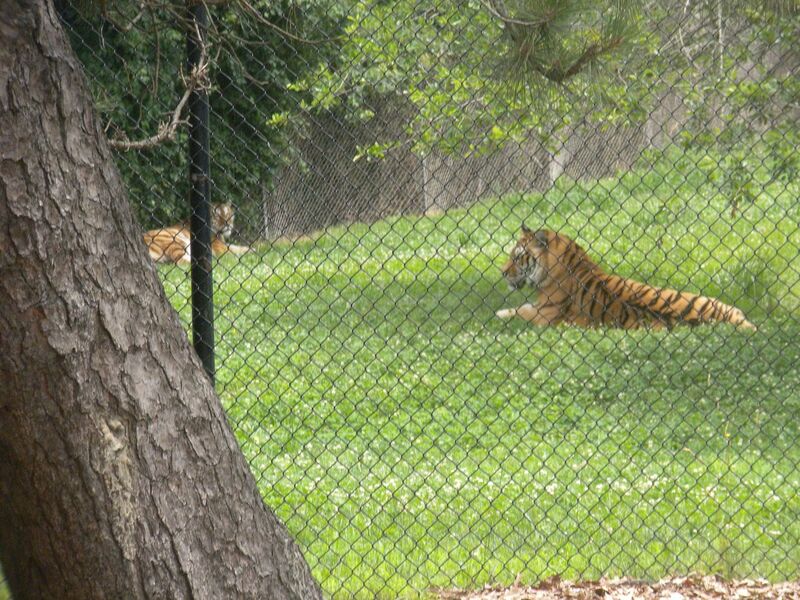 This was a new credit for me – 1 ride during ERT. The section also has 4 other children’s rides. 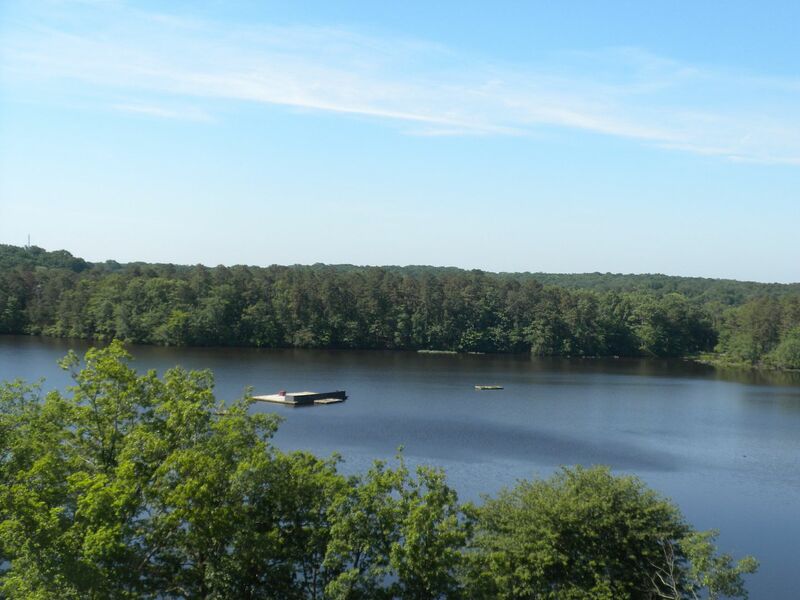 Lakefront covers the area on the lake in the back of the property and has a nautical theme. 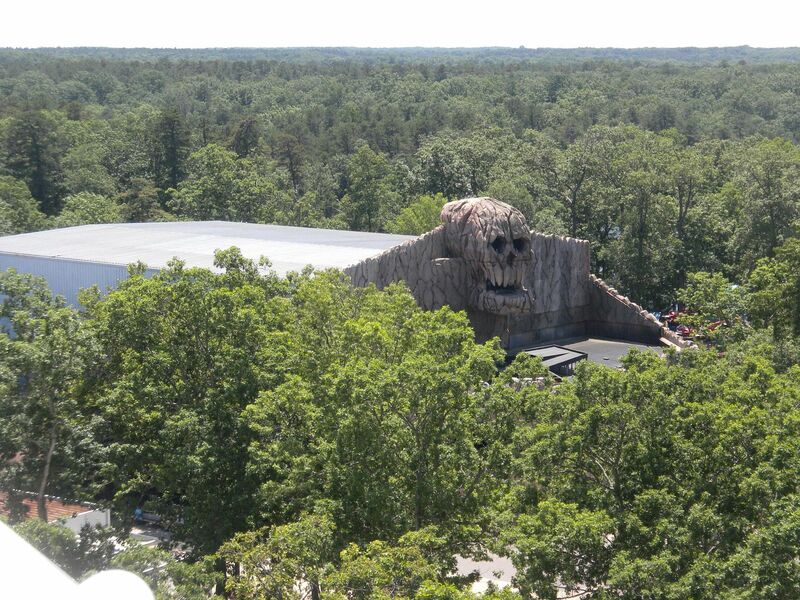 Skull Mountain: (Intamin AG, Enclosed Family Coaster, 1996) This is a fun ride – 2 rides, 1 during ERT. 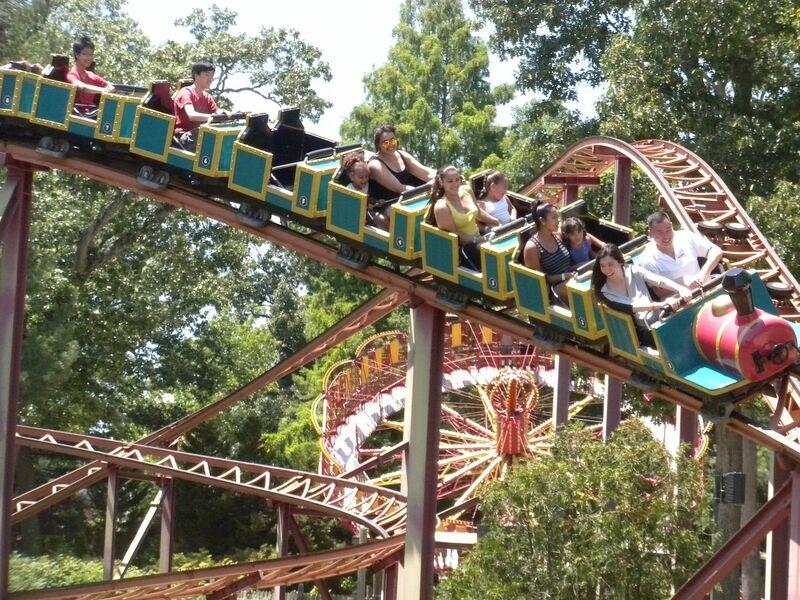 Blackbeard’s Lost Treasure Train: (Zierer, Tivoli – Large, 1999) This has a nice setting – 1 ride. 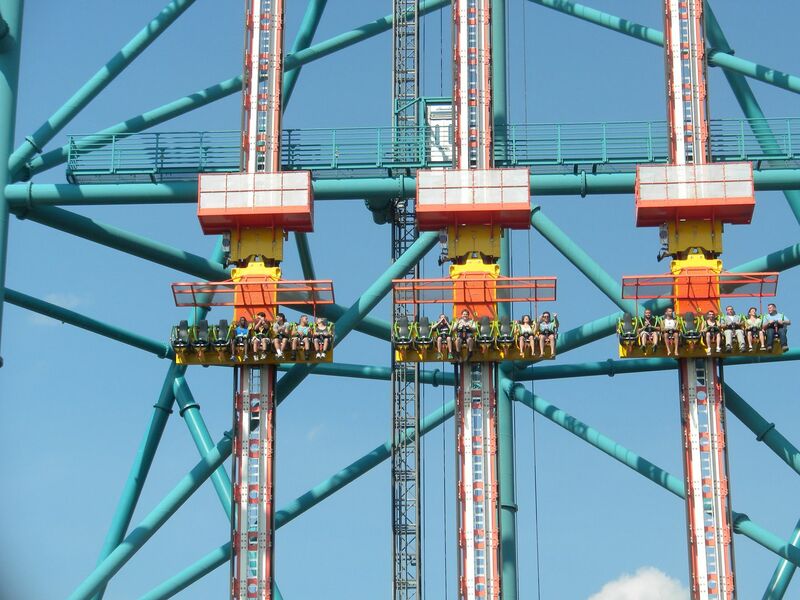 Skyway — Lakefront: With only 2 Six Flags parks still having sky rides, this is unique in that it is a double ride – 1 ride from Lakefront to Frontier Adventure during ERT. 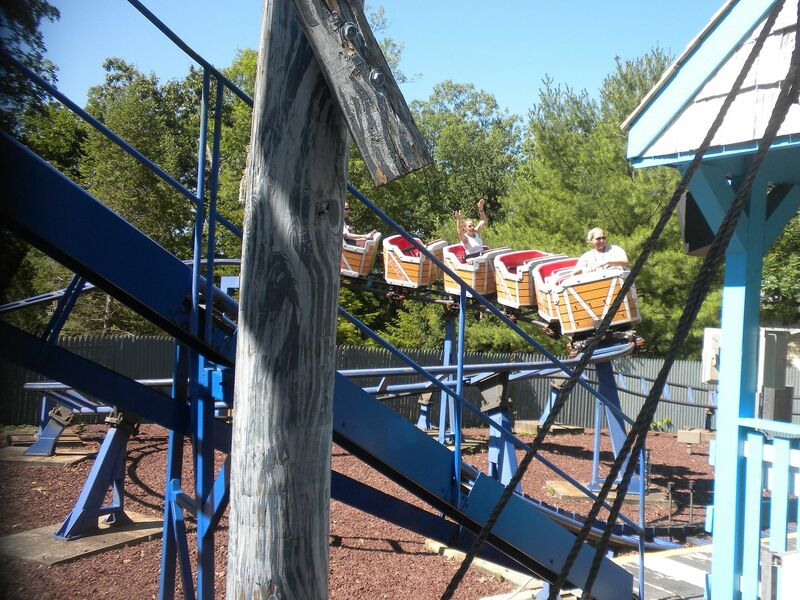 Buccaneer: Swinging Ship – 1 ride. 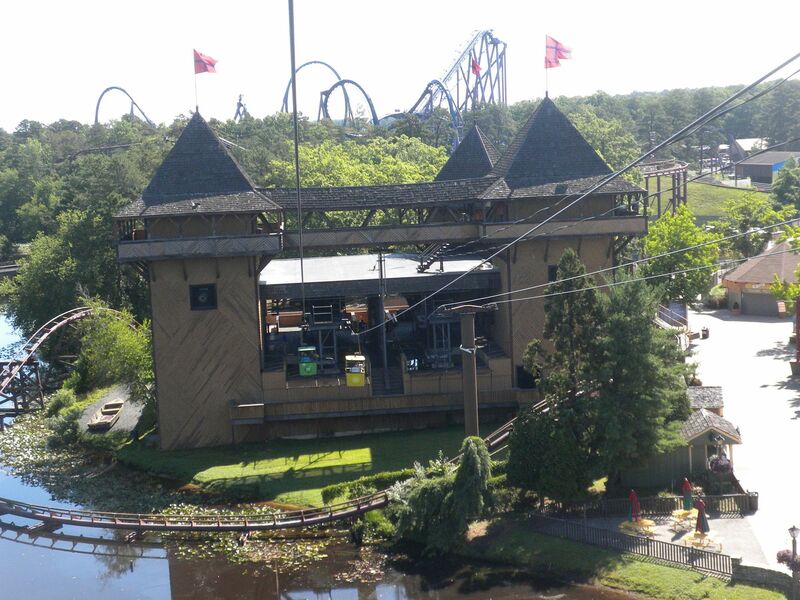 Jolly Roger: Regetta Ride – 1 ride. I did not get to Swashbuckler, a Round Up. Fort Independence was not in use but since my visit has been demolished. Festival Stage and Great Lake Grandstand also were not in use. 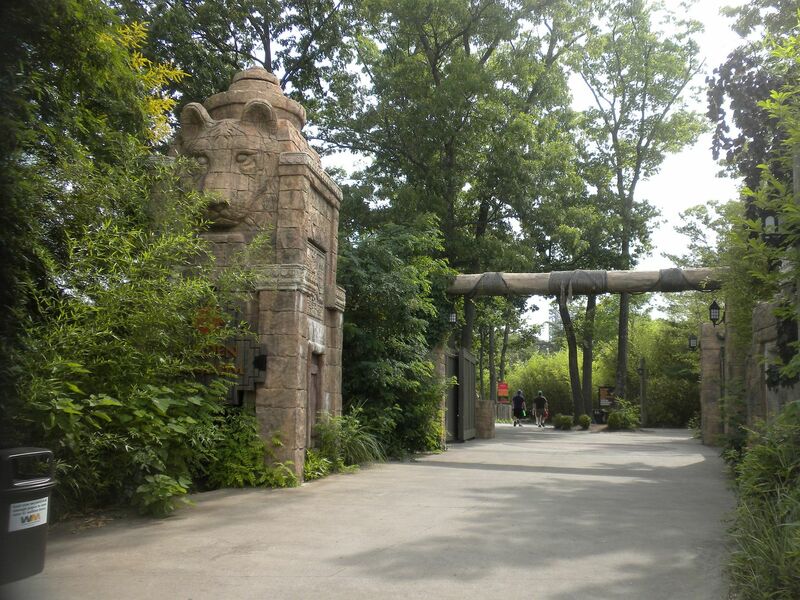 Fantasy Forest showcases some of Warner Leroy’s best theming. 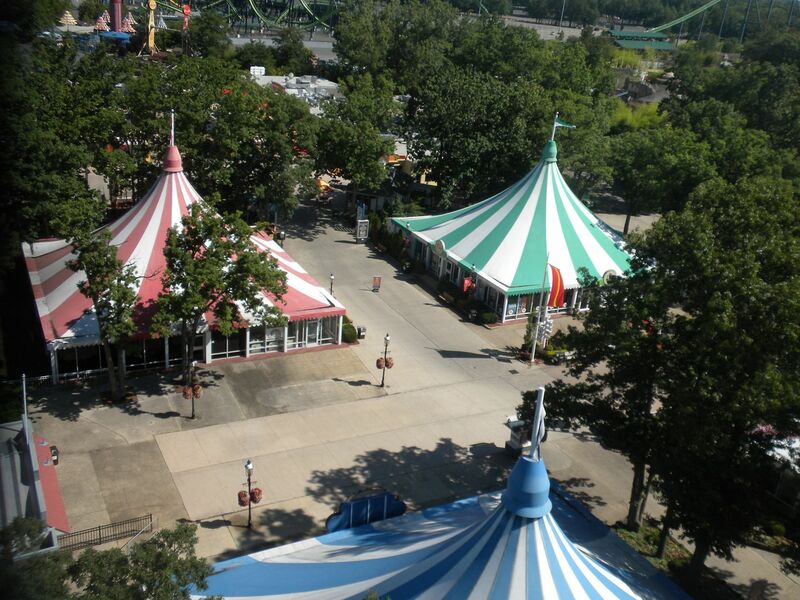 Originally it was Dream Street and was the main midway of the park. 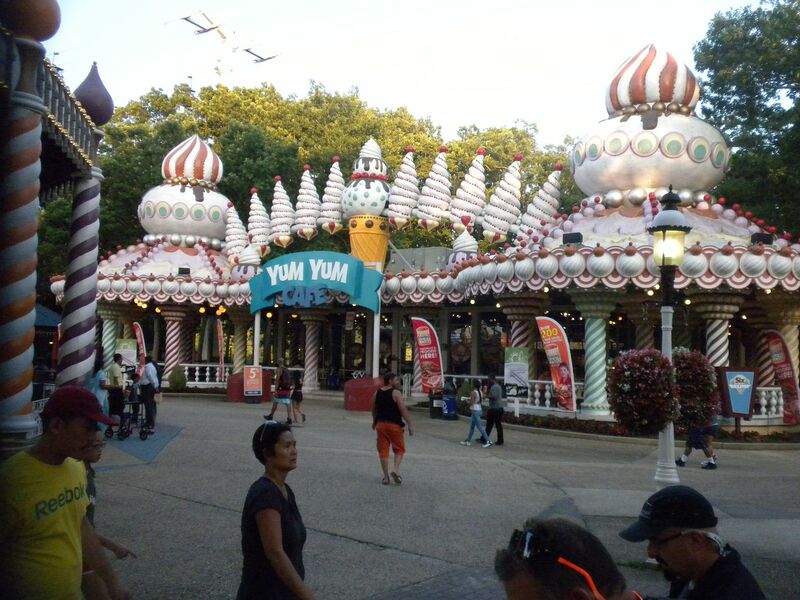 The Yum Yum Cafe, designed as a giant ice cream sundae, and the Carousel structure, held up by giant birthday candles, create a magical feel and evoke the original theming of the park. 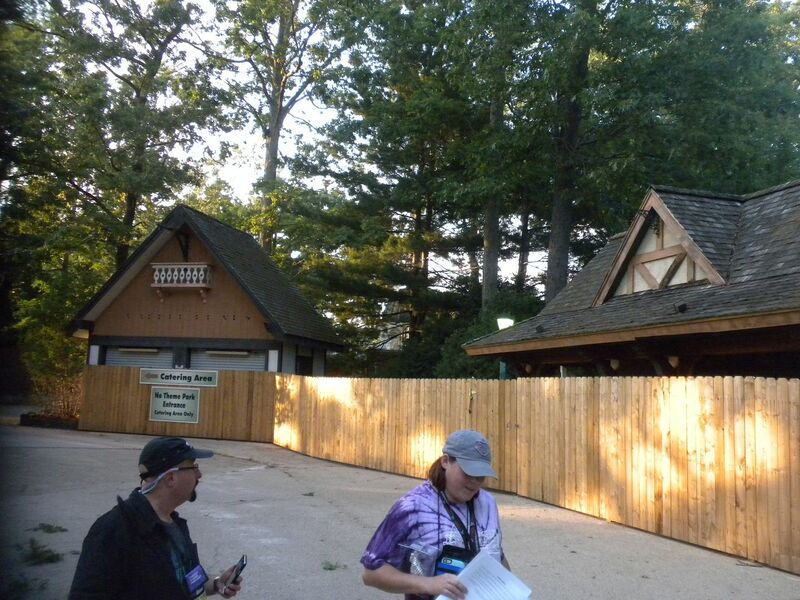 For many years this section included the former Strawberry Fair section, now broken out into Adventure Alley. 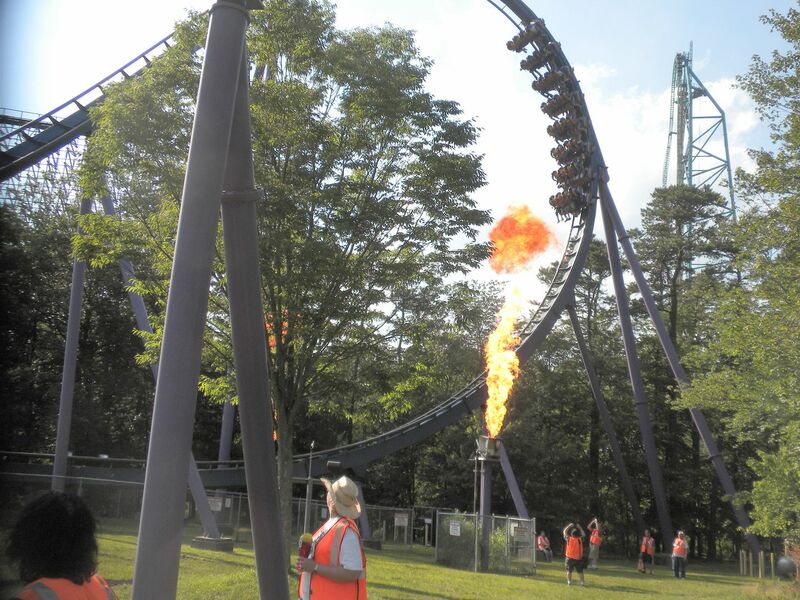 Houdini’s Great Escape: This Vekoma Madhouse haunted swing is well themed and its illusion is fun – 2 rides. 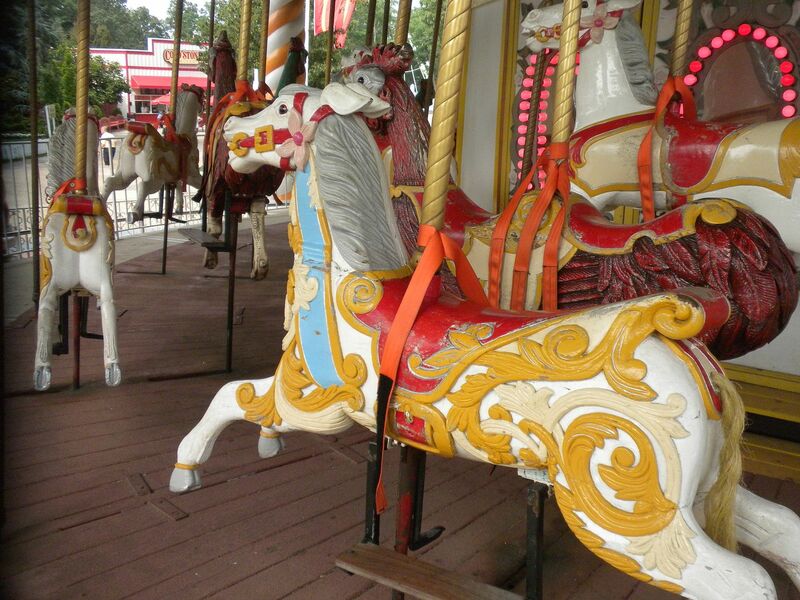 As a British carousel, it goes clockwise. 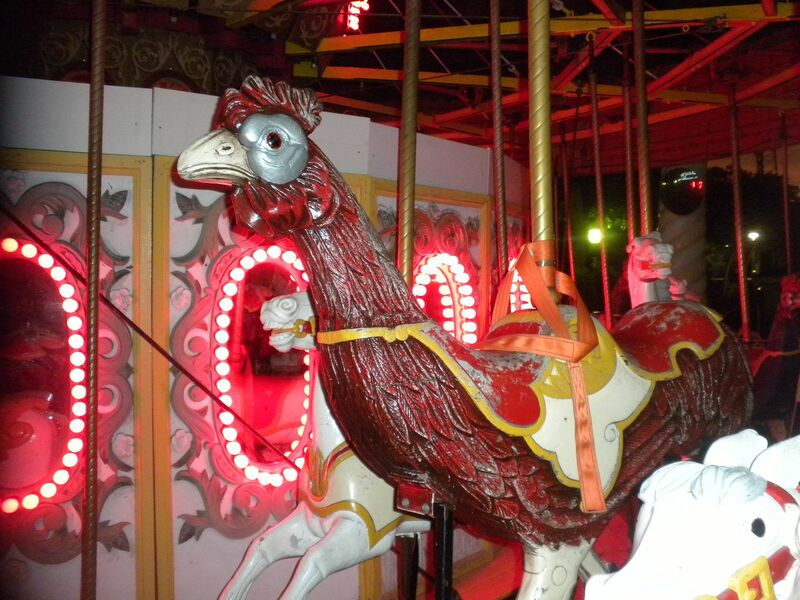 I would see more of these this summer – 2 rides, 1 each on horse & rooster, 1 during ERT. Enchanted Teacups: Good spinning – 2 rides. I had a good grilled chicken sandwich meal at Yum Yum Café and was pleasantly surprised to learn that I could get a side Caesar salad instead of fries for the same price. I wish more parks would offer options like this. 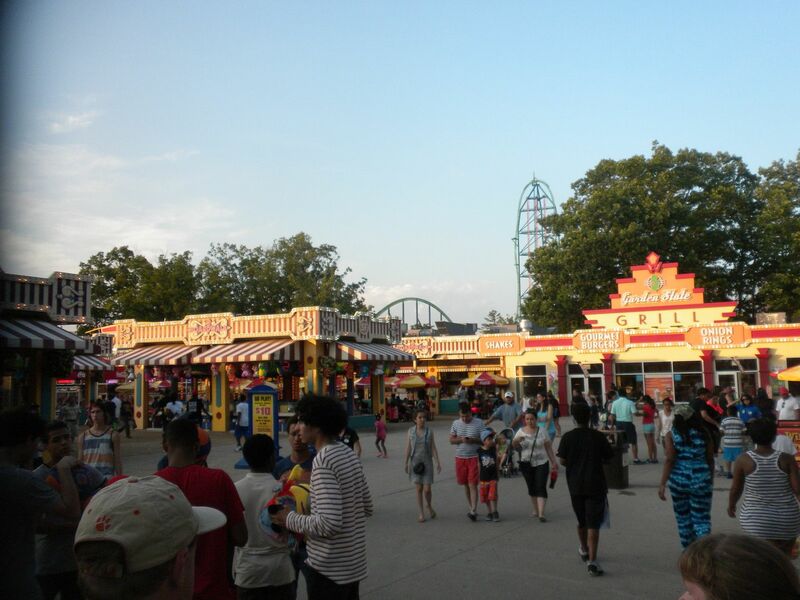 this section has games, boardwalk restaurants, and several thrill rides. 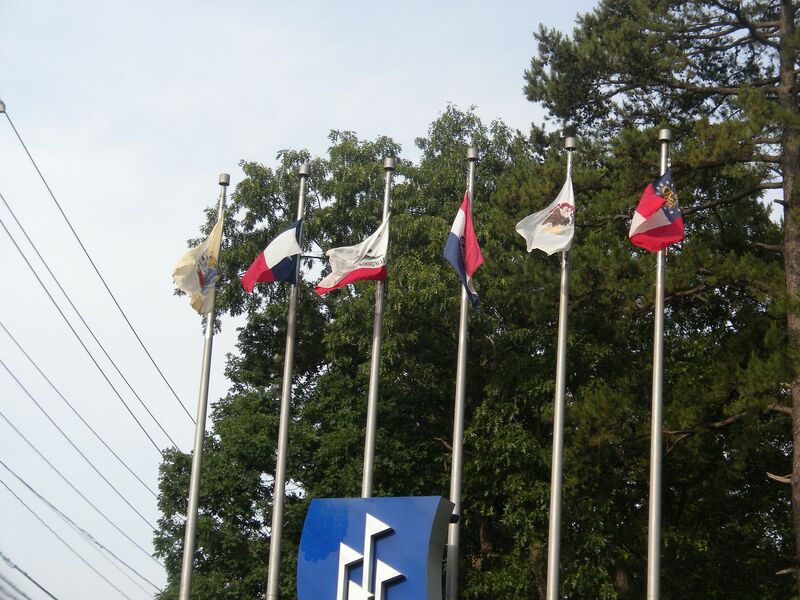 At one time it was themed as Edwards Air Force Base. 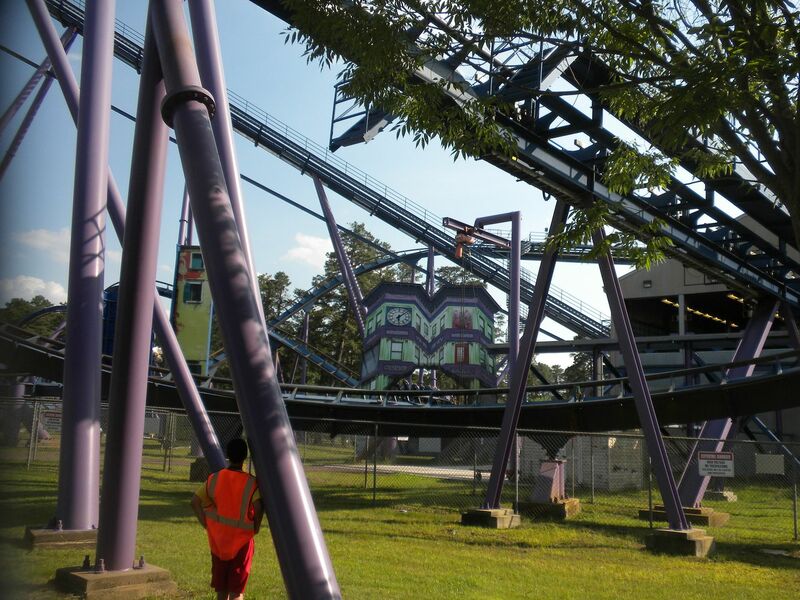 Previously home to the Great American Scream Machine (Arrow, Looper, 1989-2009), it now has 2 of the parks super hero themed coasters. 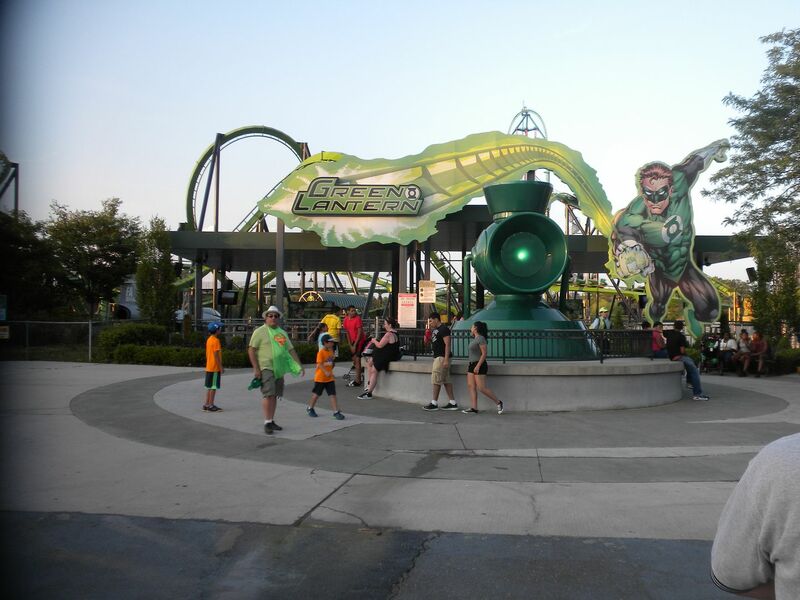 GREEN LANTERN: (Bolliger & Mabillard, Stand-Up Coaster, 1997/2011) Relocated from Kentucky Kingdom where it operated as Chang, this was a new credit for me as I count relocations. 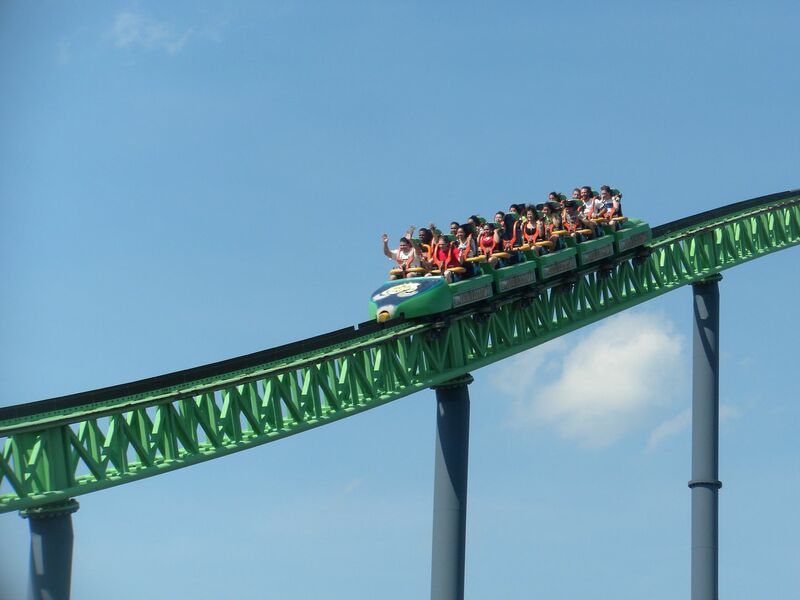 Although many complain of its roughness, it is not so bad to me, although not as good as the 2 best B&M stand-ups (Riddler’s Revenge & GA Scorcher) – 2 rides. 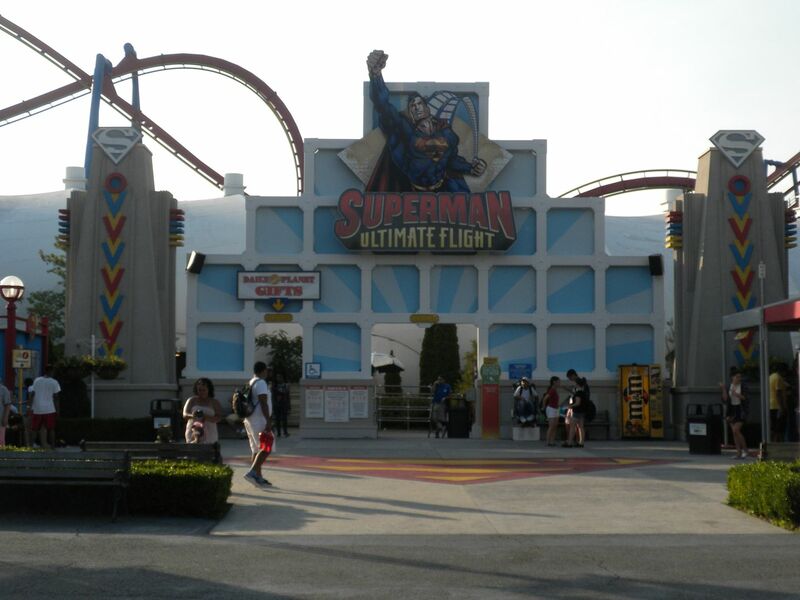 SUPERMAN Ultimate Flight: (Bolliger & Mabillard, Flying Coaster, 2003) Good ride – 1 ride. 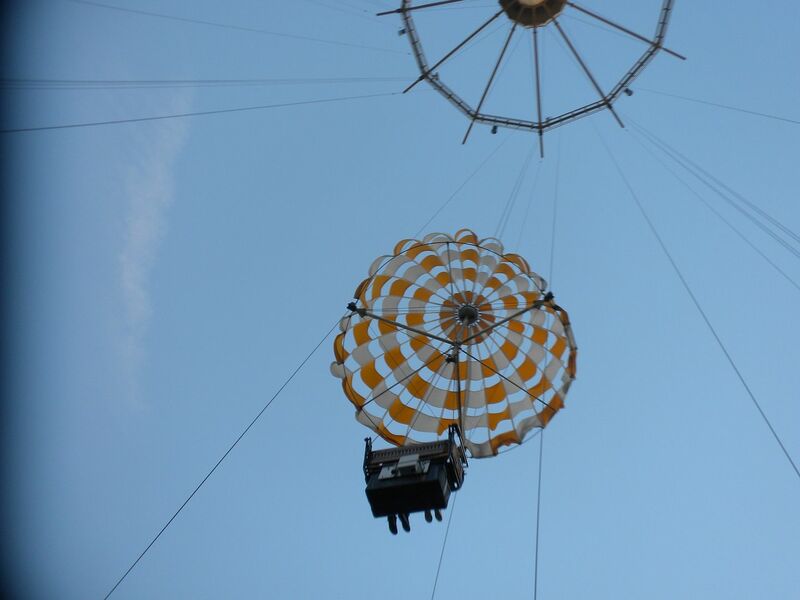 This 250 foot Parachute ride is the last of kind. 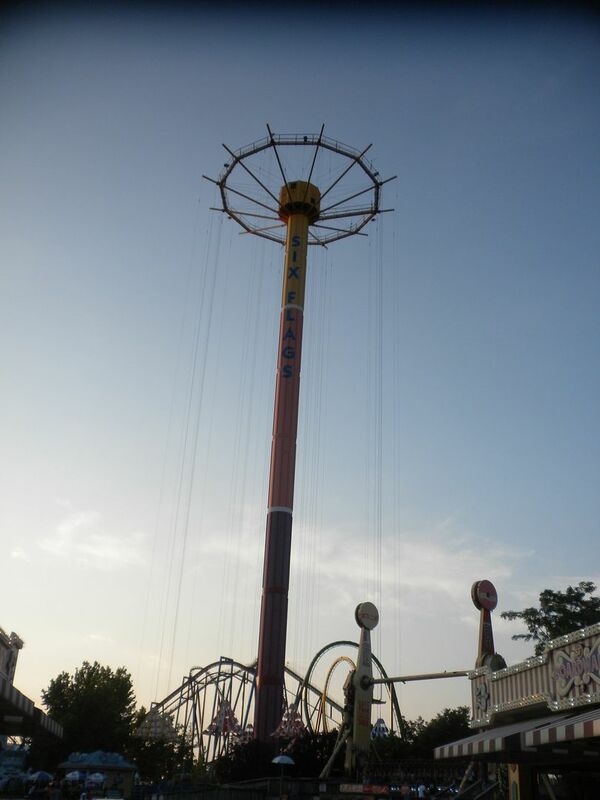 It gave me good memories of the GASP – 1 ride. Twister, a Top Spin, was the third of 3 rides I did not get to ride due to rain Tuesday evening. 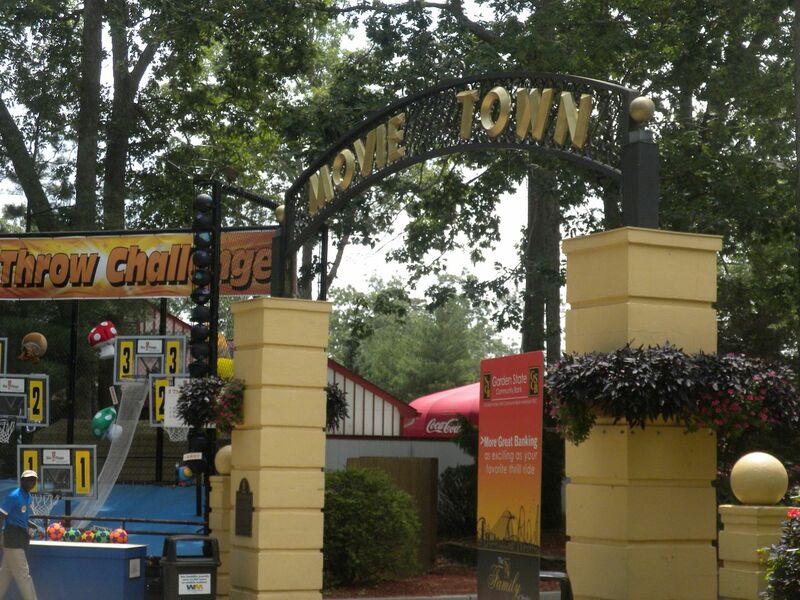 Upcharge attractions include Dare Devil Dive, a skycoaster; Slingshot; Great American Road Race, Go-Karts; and Rock Climbing Wall. 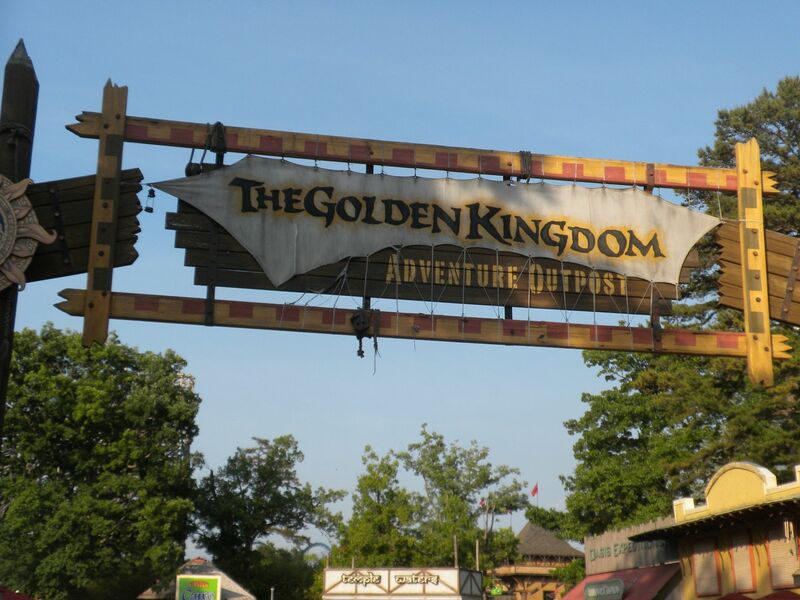 The Golden Kingdom opened in 2005 with Kingda Ka on what was Bugs Bunny Land, the park’s old kiddie-section. This section of the park is arguably the best themed section with truly immersive theming. with the food court on the main midway is no longer open, so you must go through Boardwalk to get from one portion of this section to the other, and a walk to neighboring Plaza del Carnaval takes quite a while. This pathway needs to be reopened as the best themed section is currently a dead-end. 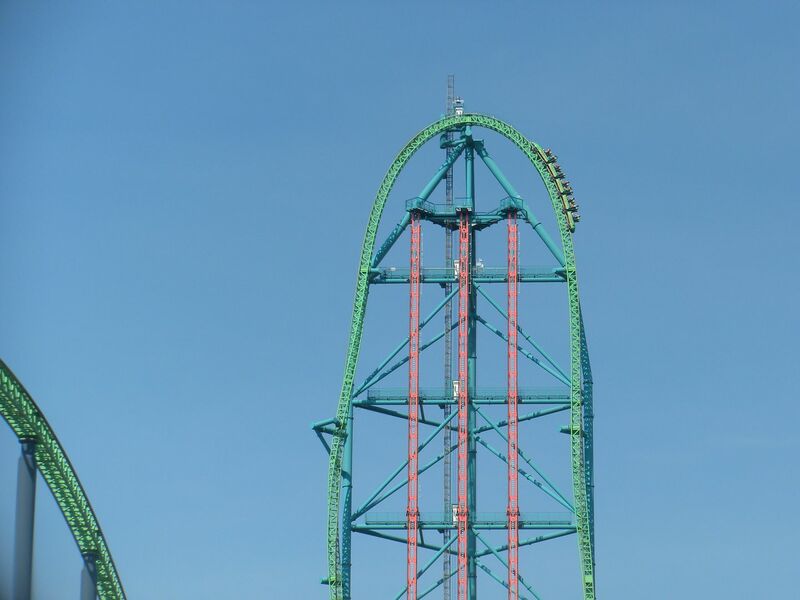 but still it is a thrilling ride. 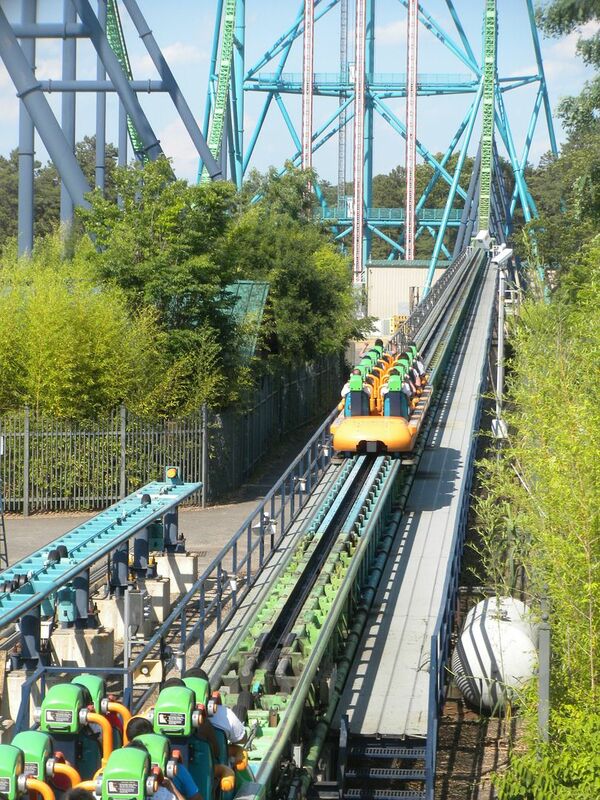 It seemed to be running a little rough – 2 rides during ERT. 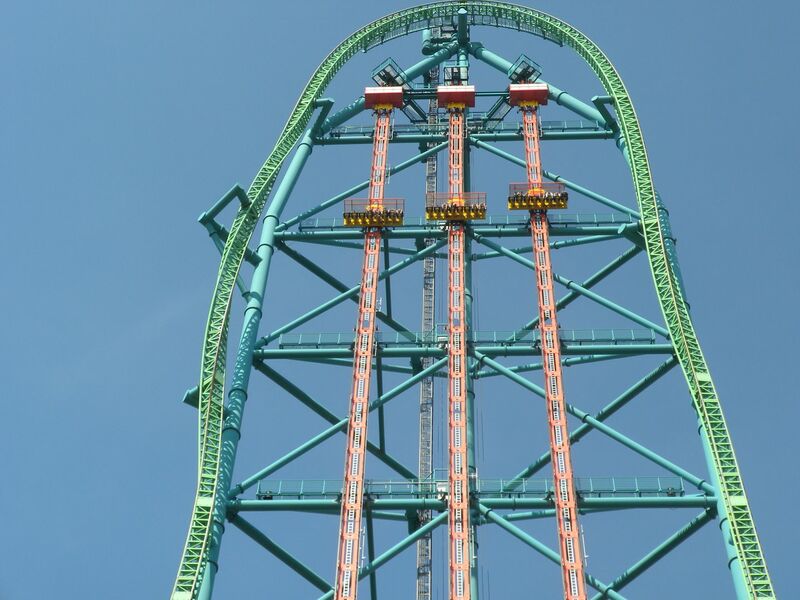 This 415 foot world’s tallest drop ride is thrilling & has a great view. 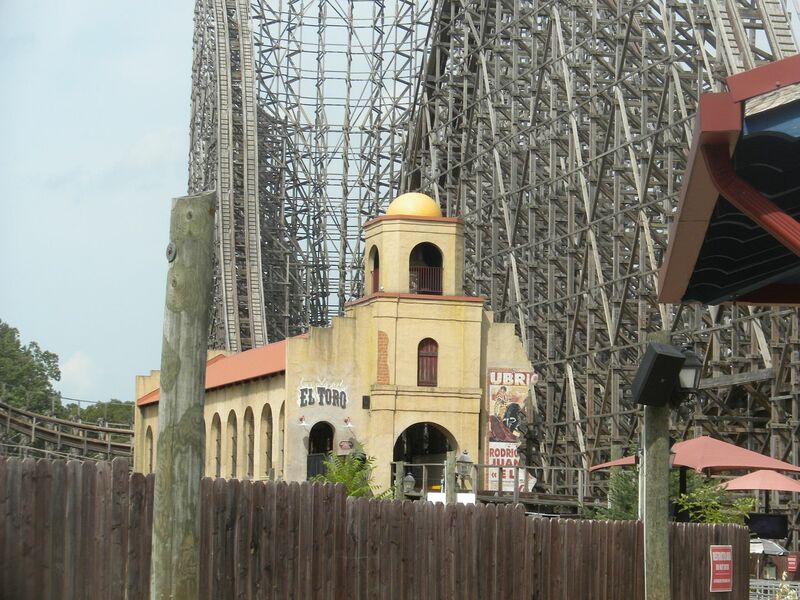 Although Rolling Thunder was removed, they left this section under El Toro as a tribute which will include the train–2 rides during ERT. 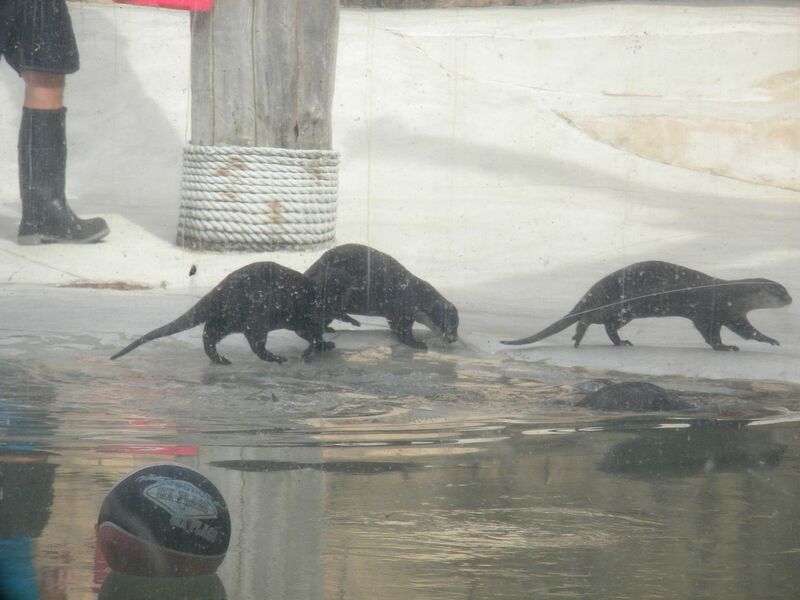 Aladabra Island – SeaFari Theater – You Otter Know: More of a meet the animals than a show, it is good – 1 show. 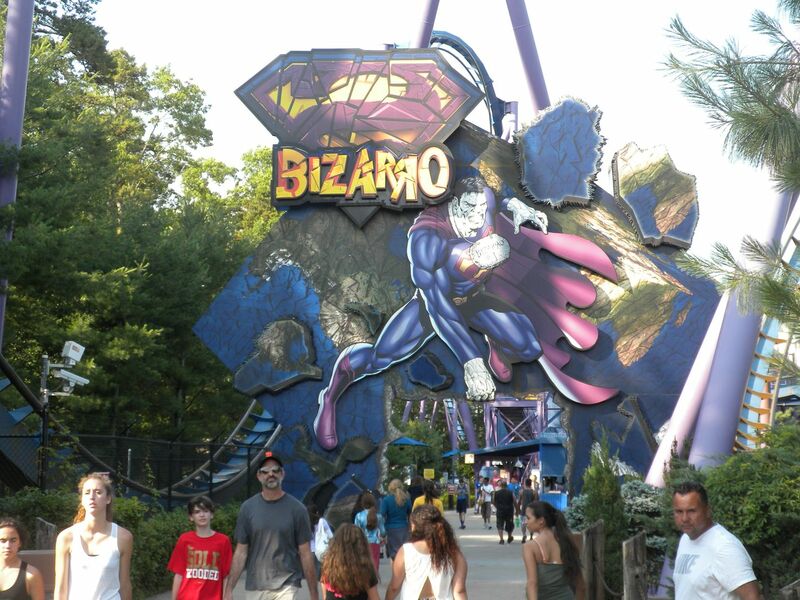 and Bizarro. 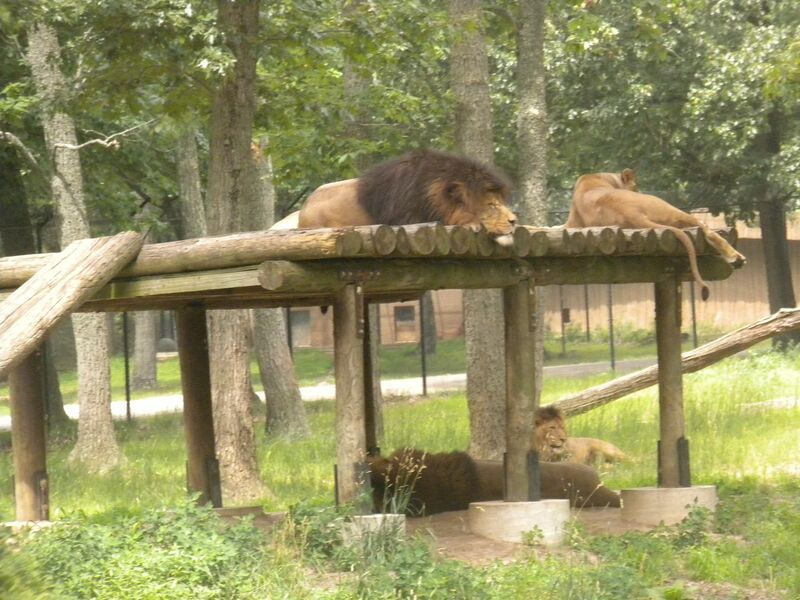 There is also Splash Water Oasis, a children’s play structure. 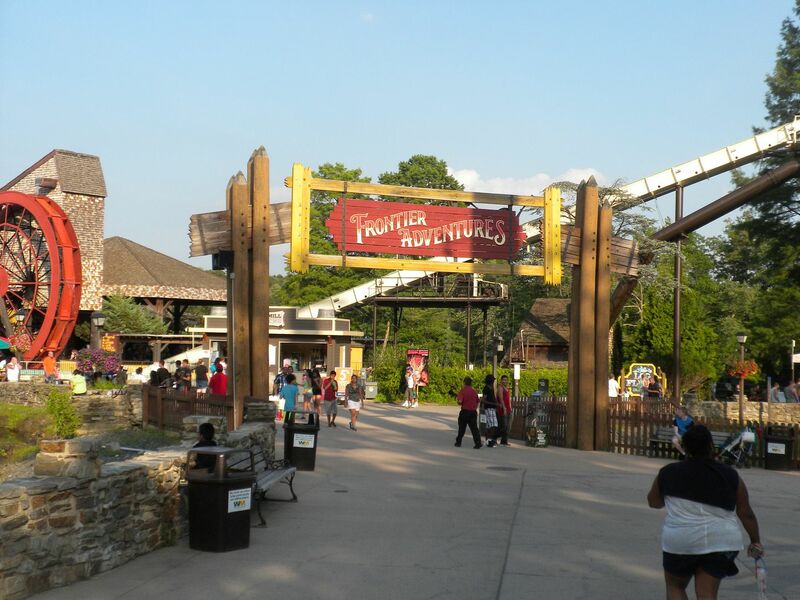 This area was originally part of Frontier Adventures, and was also called Hernando’s Hideaway for the opening of Rolling Thunder (Bill Cobb, Racing Wood Coaster, 1979-2013). This Spanish themed section is festive, filled with vibrant colors, stucco buildings & Spanish tile roofs. 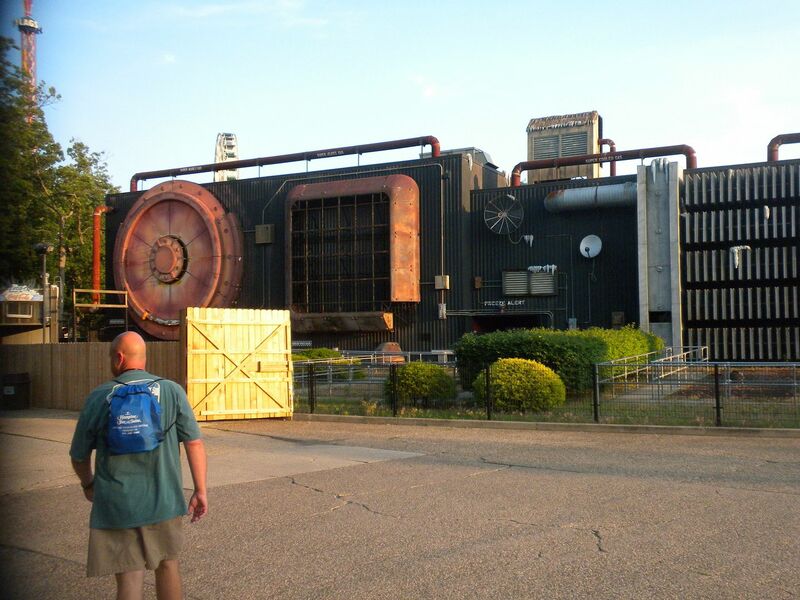 It shows the kind of immersive theming Six Flags is capable of. the tight restraint system often makes for less than comfortable rides for those of us who need to lose some weight. 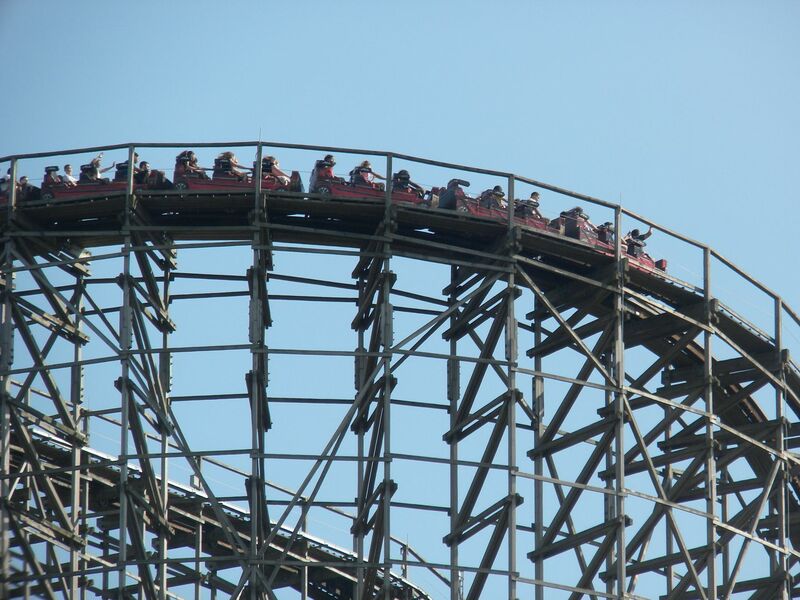 but I can see it falling some on my list for the discomfort factor – 8 rides during our 3 night ERT sessions. 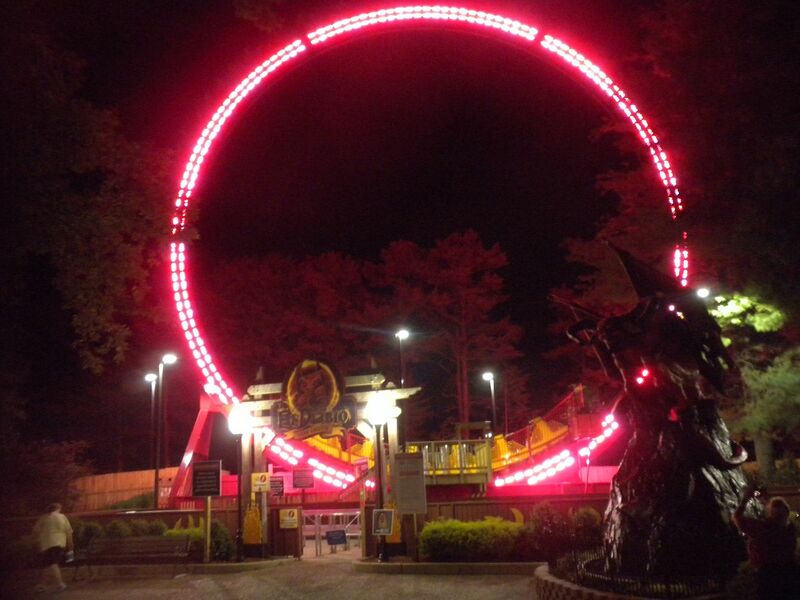 El Diablo: New for 2015, this 70 foot Larson International Ring of Fire is well themed and fun – 2 rides, 1 during ERT. Tango: Rockin’ Tug – 1 ride. 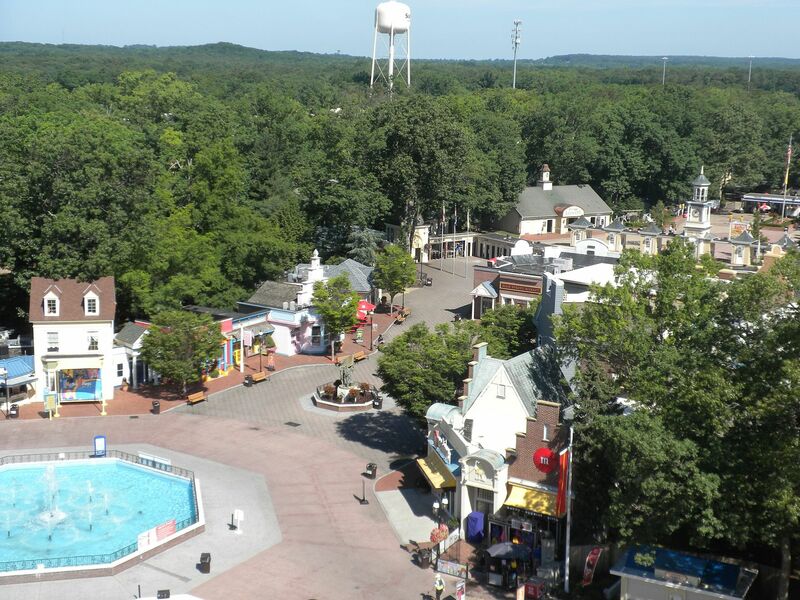 including the Fort and the Best of the West Restaurant. 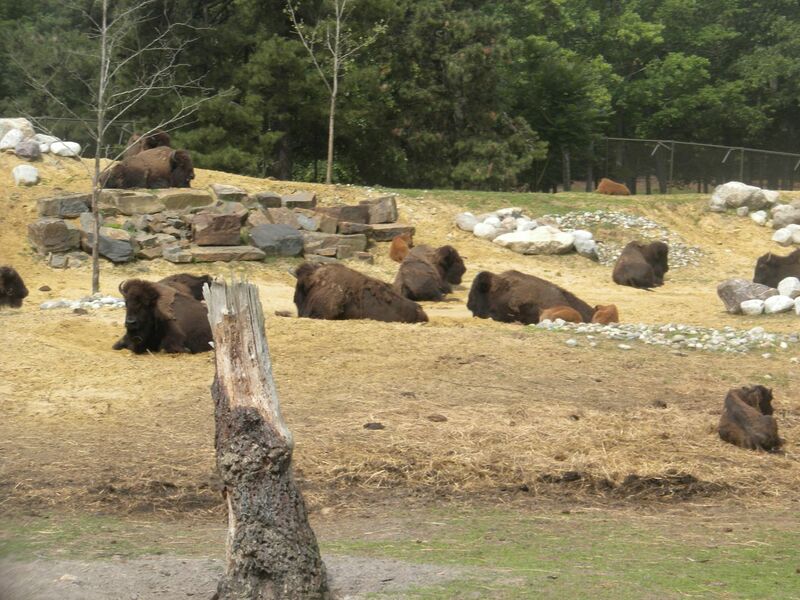 It is now home to the Safari Off Road Adventure station on the former location of the Super Teepee and the Conestoga Wagon. 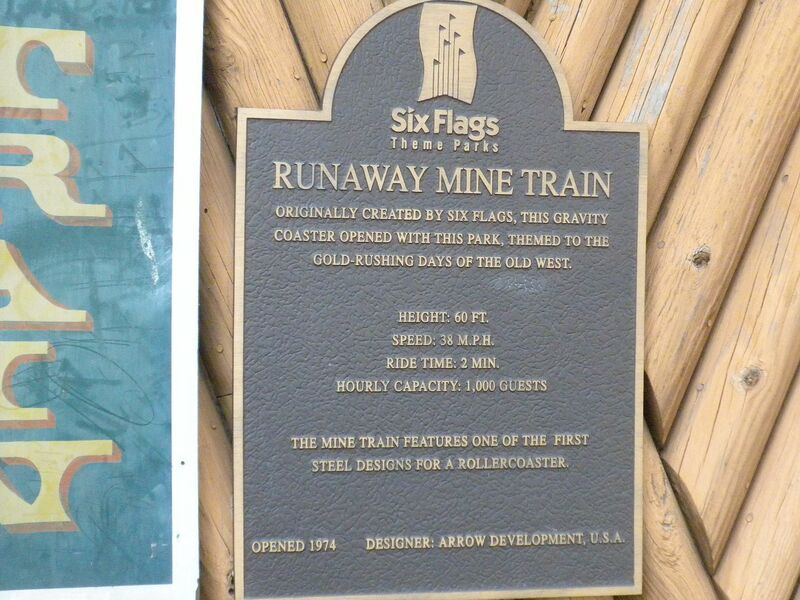 with a backstory about the takeover of Medusa Mine – 4 rides, 3 during ERT. 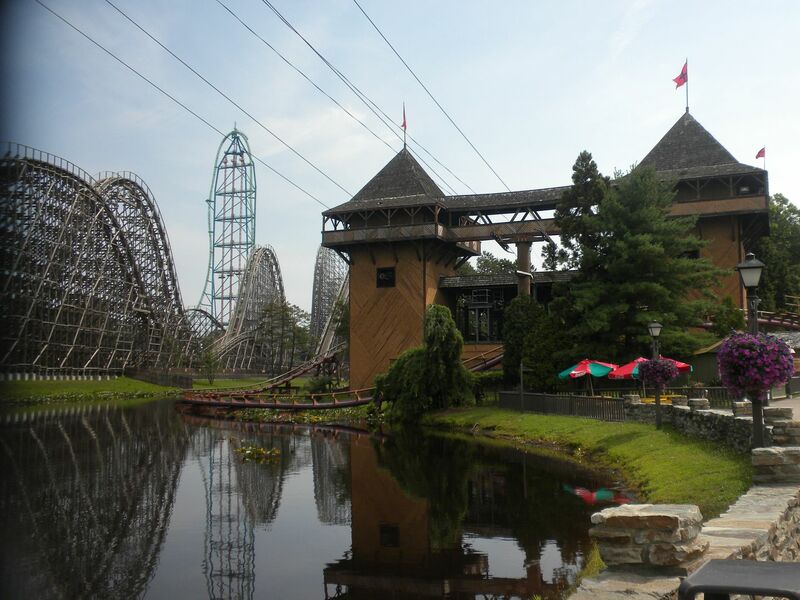 Housed in the Fort, the park’s original coaster gives a thrilling ride with more airtime than you expect on a mine train – 3 rides, 2 during ERT. 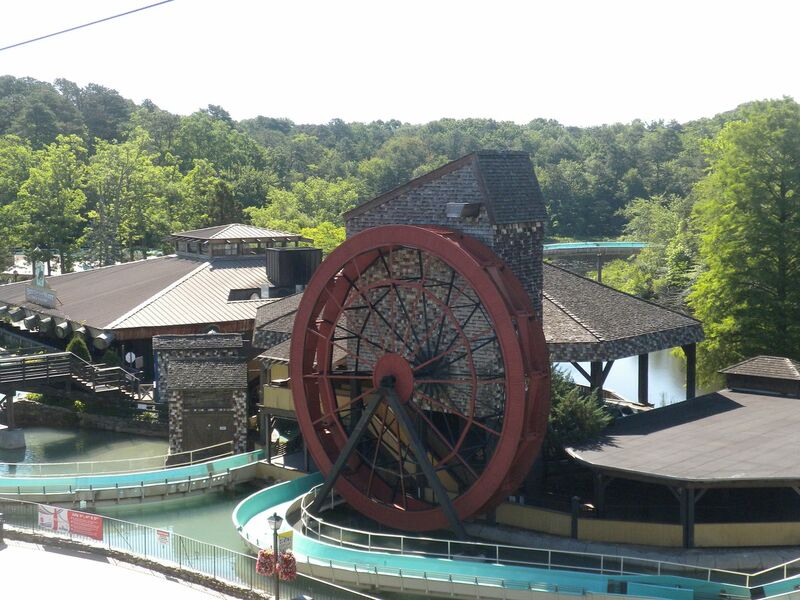 One of the park’s original rides, it has a great course over the lake and is one of the longest log flumes – 1 ride during ERT. 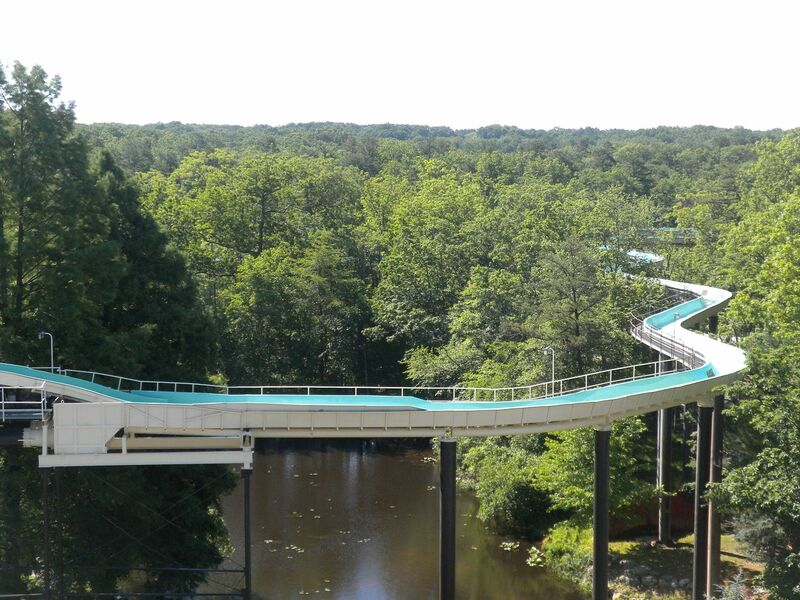 Skyway — Frontier Adventures: Housed in the Fort this double skyride is iconic to the park – 2 rides during ERT, from Frontier Adventures to Lakefront. 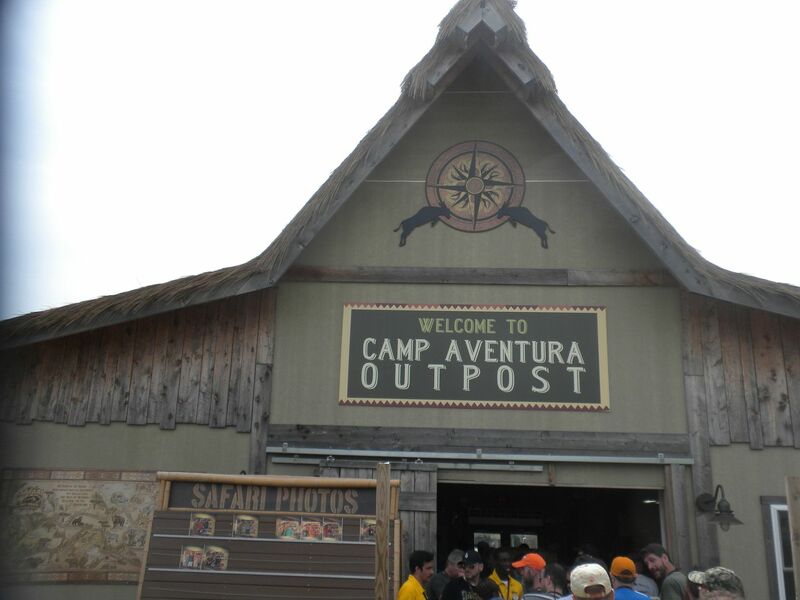 with a stop at Camp Adventura. By combining 2 parks in 1 admission, SFGAd became the largest theme park in the world, eclipsing the previous largest-Disney’s Animal Kingdom. 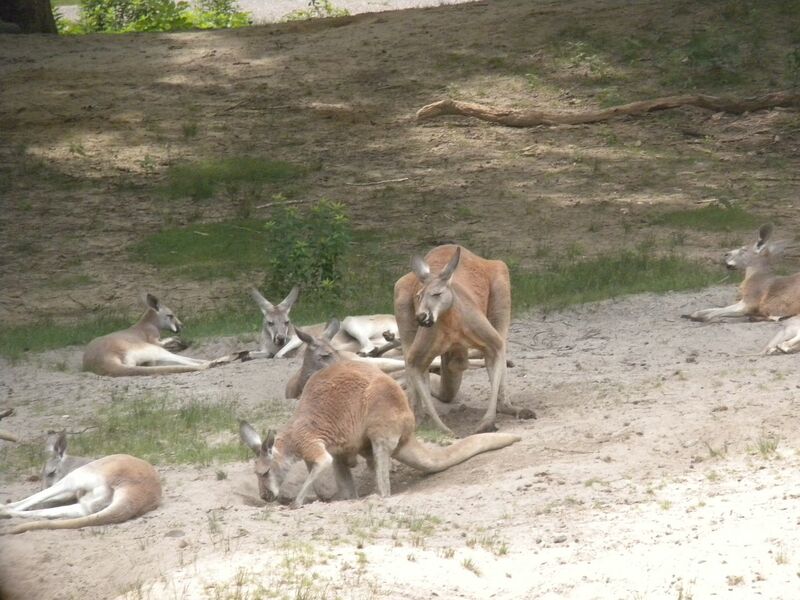 and also kangaroos. 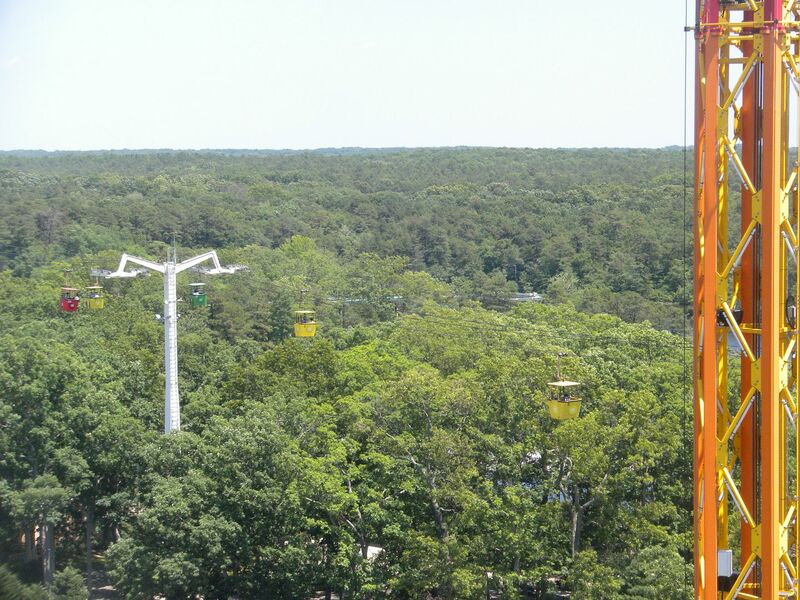 We did not ride the upcharge zip line, Soaring Eagle – 2 rides (round trip) during ERT. There is a children’s show in Wilderness Theater – LOONEY TUNES Talent Show. Plymouth Rock Assurance Arena may be used for concerts. 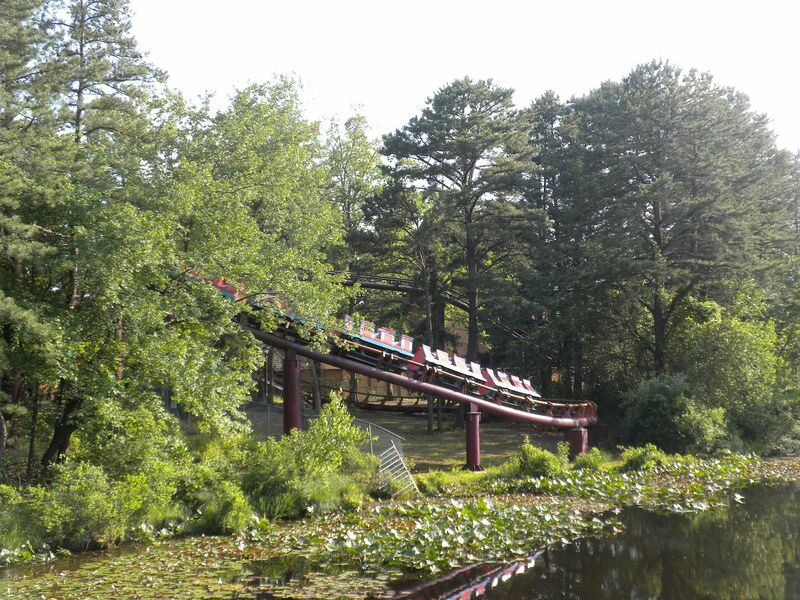 BUGS BUNNY NATIONAL PARK opened in 2006 in a rustic setting on the lake with 7 rides. 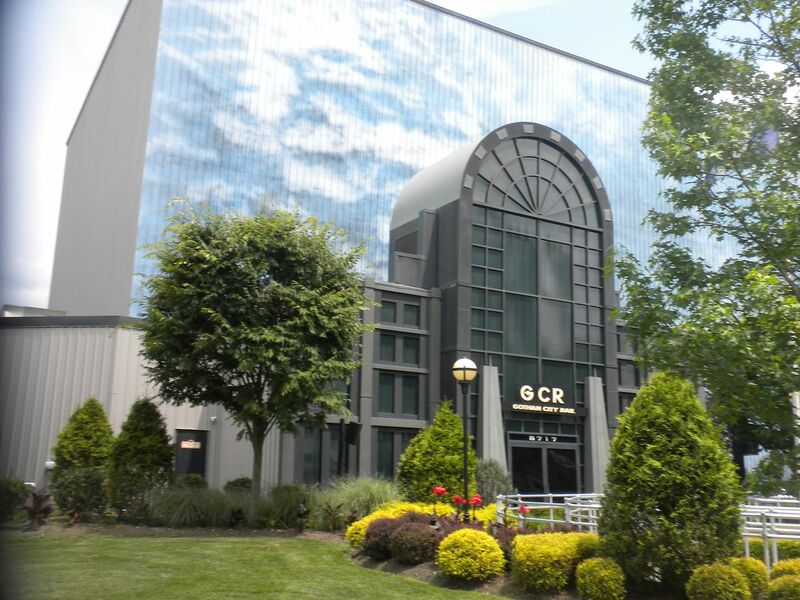 and the station for Batman & Robin: The Chiller. In fact our photo contest was inside the Exploritorium, part of that coaster. in the Boardwalk section and used the Showcase Theater for our presentations and business meeting. They also had a History Display for us to view. 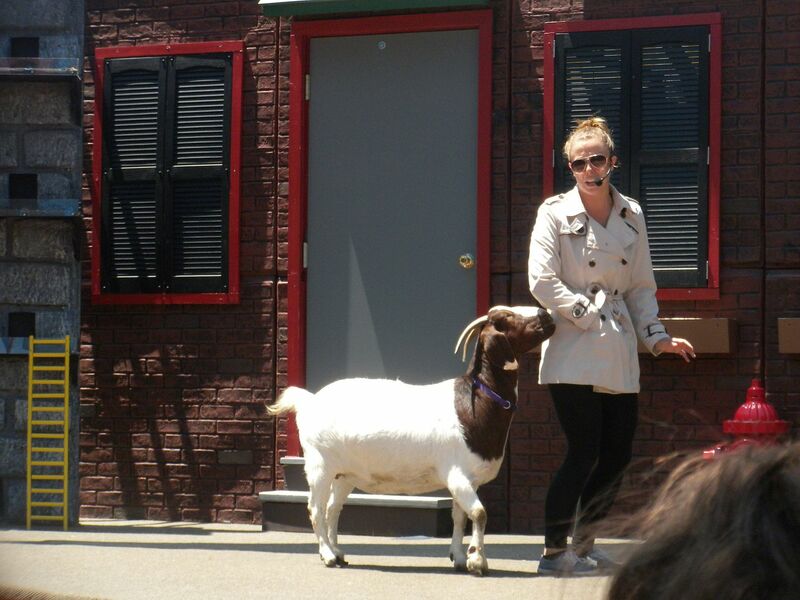 I thoroughly enjoyed my time at SFGAd. 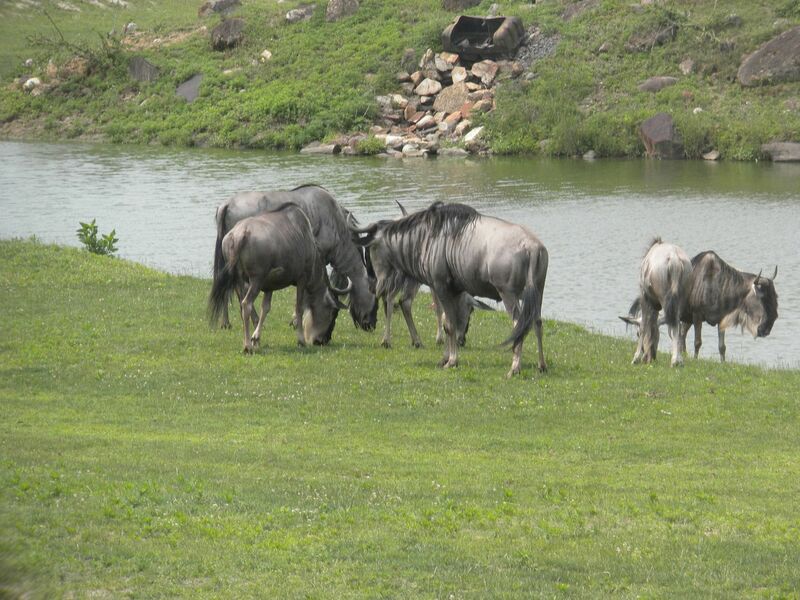 It is a sprawling park, and the Skyway is an excellent way to get from one end to the other. There are a few dead ends, most notably in The Golden Kingdom. There is a quirky blockade that forces you into Boardwalk instead of walking along what used to be Dream Street. 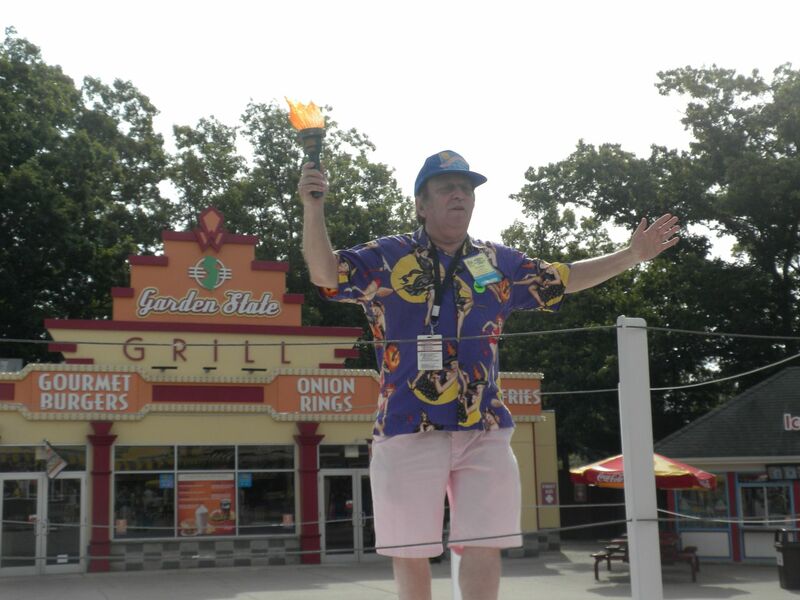 This is to lead guests by games, but it makes walking across an already large park even longer. Still, some of its quirkiness helps create charm. 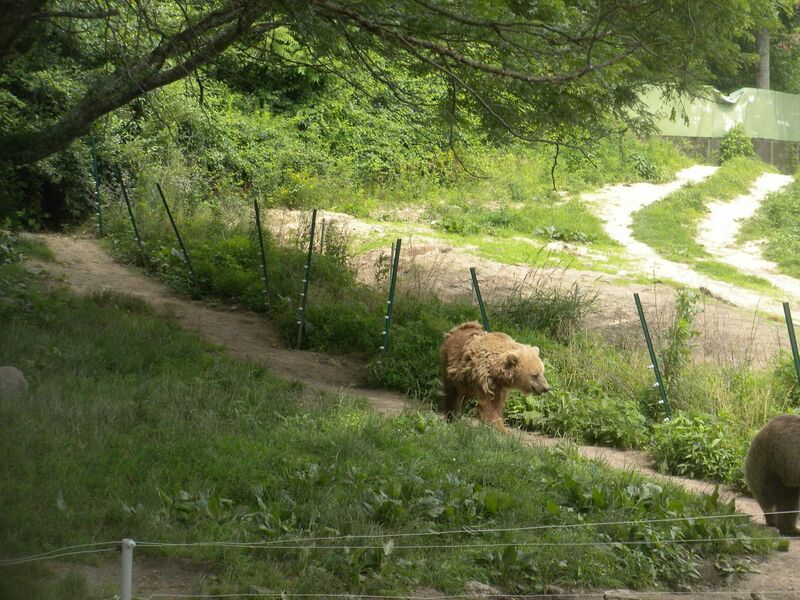 It is definitely a park I will return to again and again. As the banquet would occur during the next portion, we ended our time at SFGAd Tuesday evening. Wednesday morning we were off to Storybook Land and Morey’s Piers. 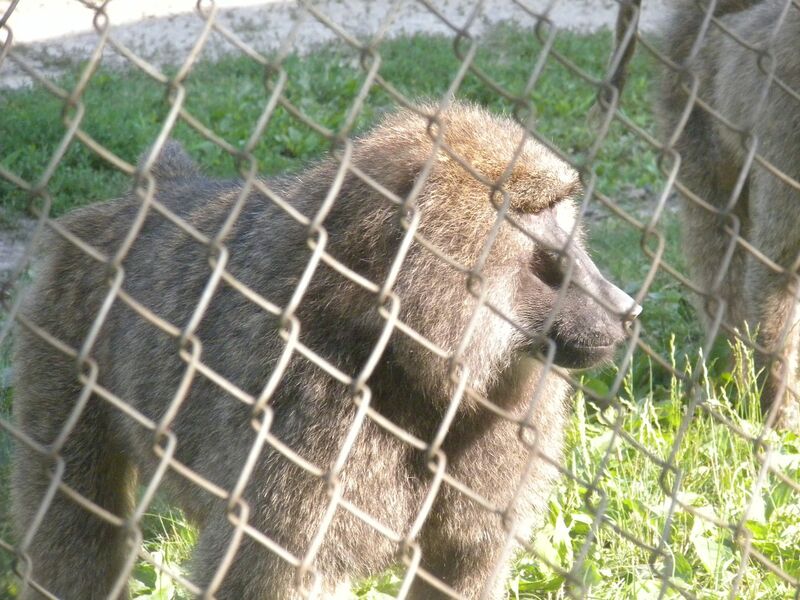 Great trip report as I always enjoy them–BUT rain prevented you from riding Congo Rapids??? I always enjoy your trip reports BUT rain prevented you from riding Congo Rapids??? Thanks Naida! I should have probably said a major thunderstorm prevented me from riding Congo Rapids – it was closed on the last evening we were there when I had planned to ride it.